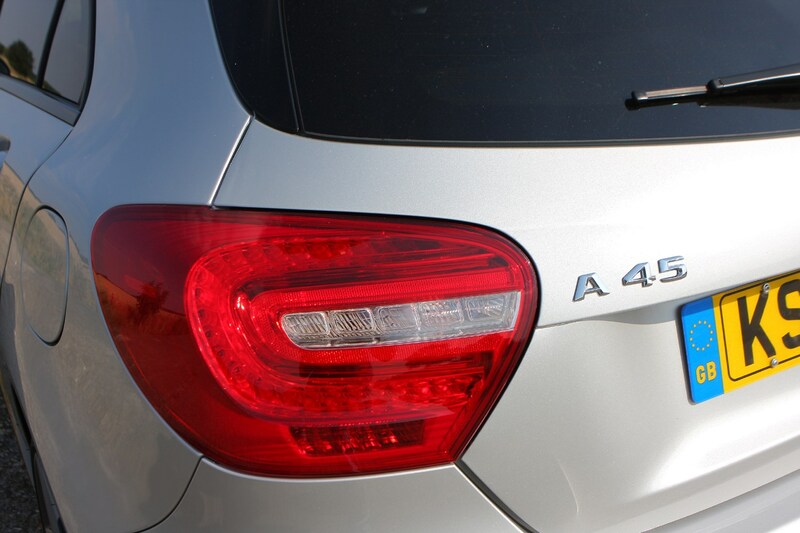 Insurance group: 43 - 45 How much is it to insure? 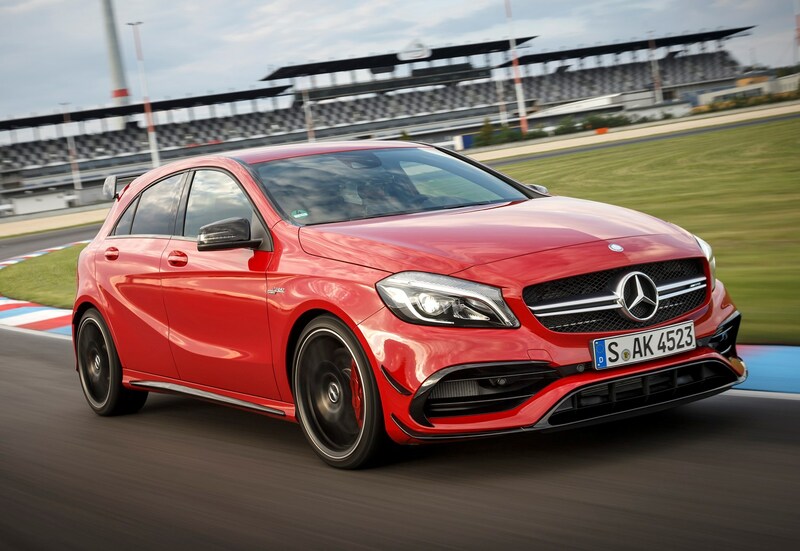 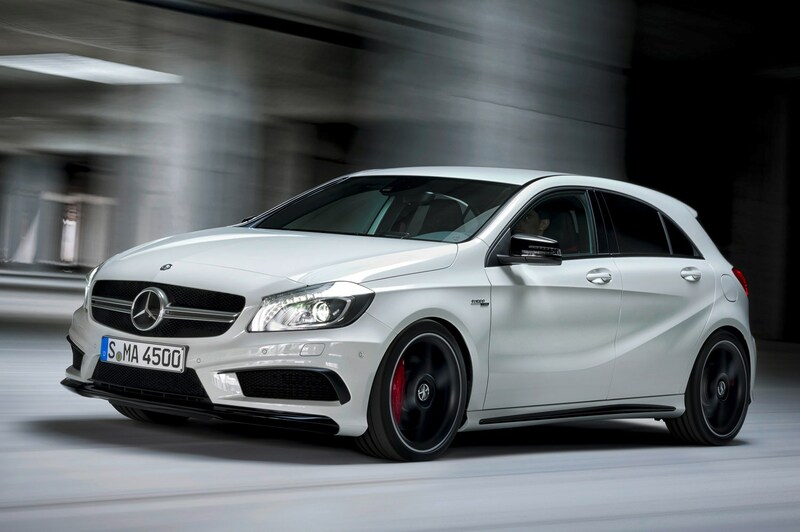 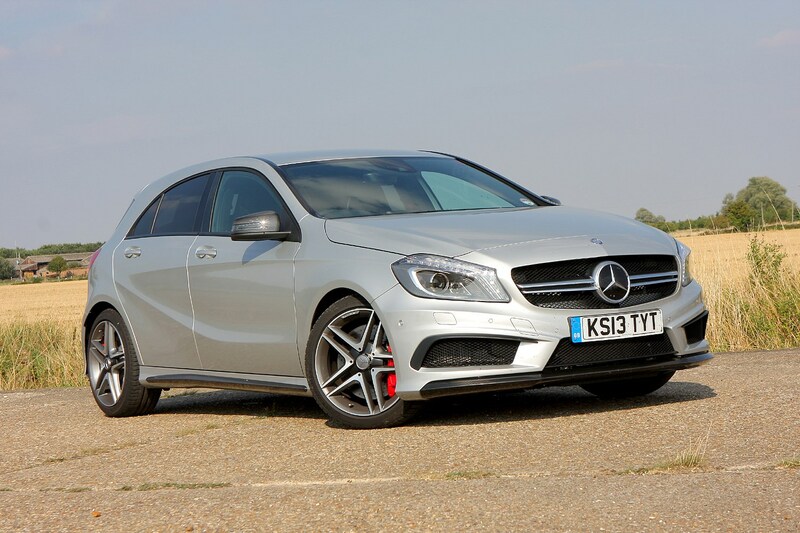 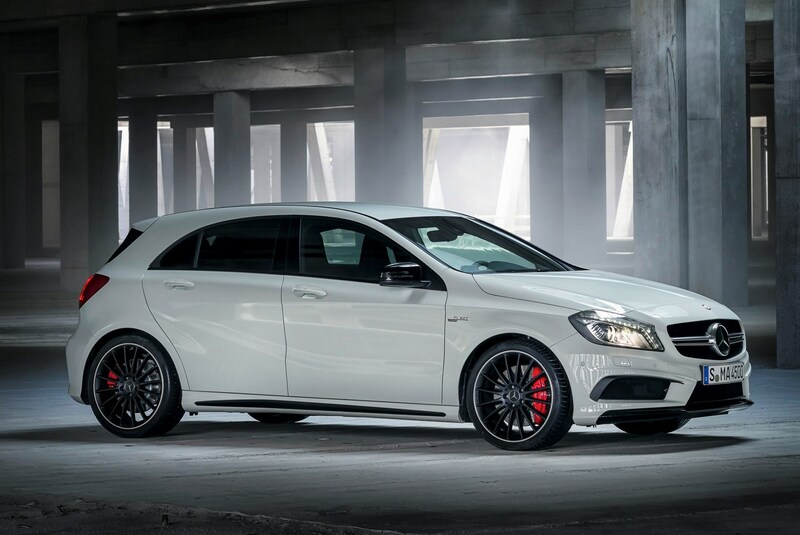 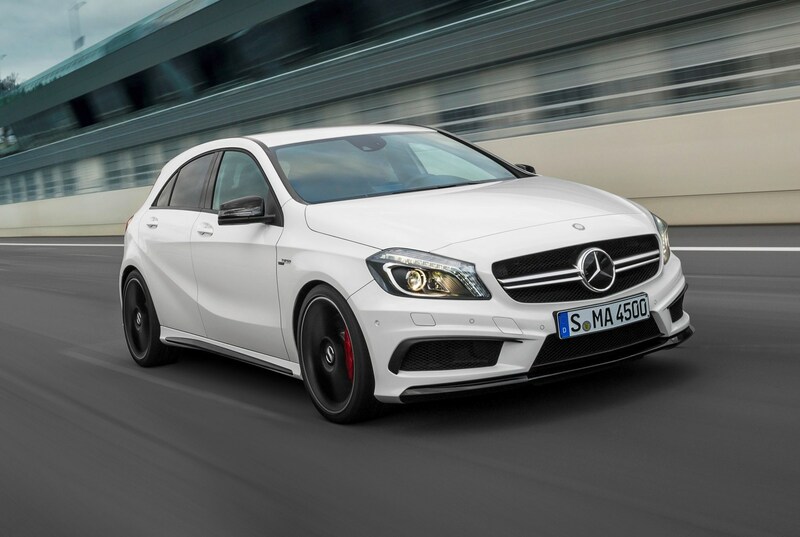 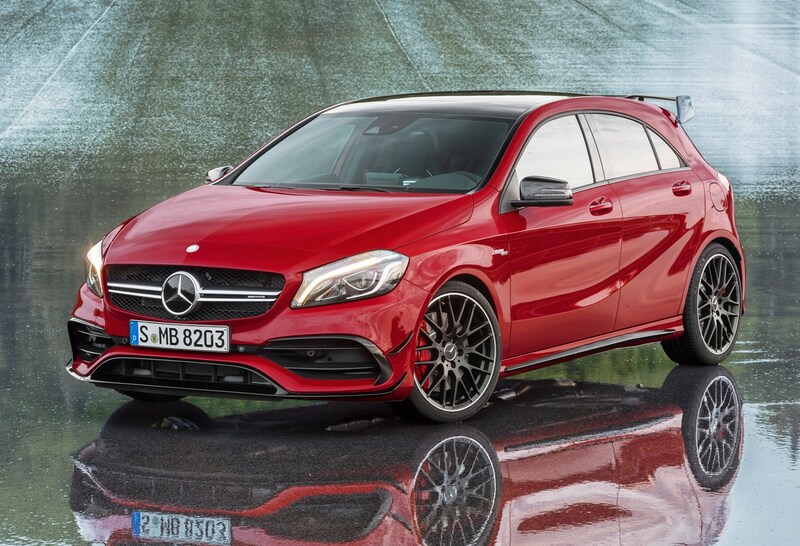 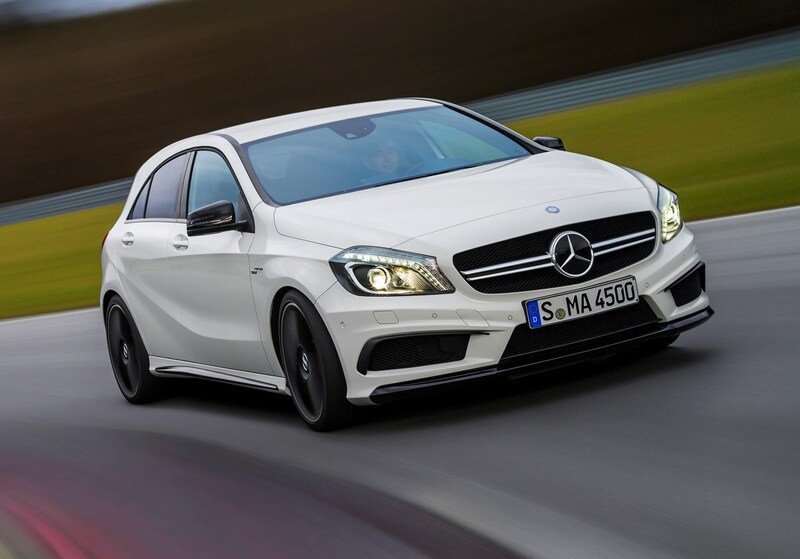 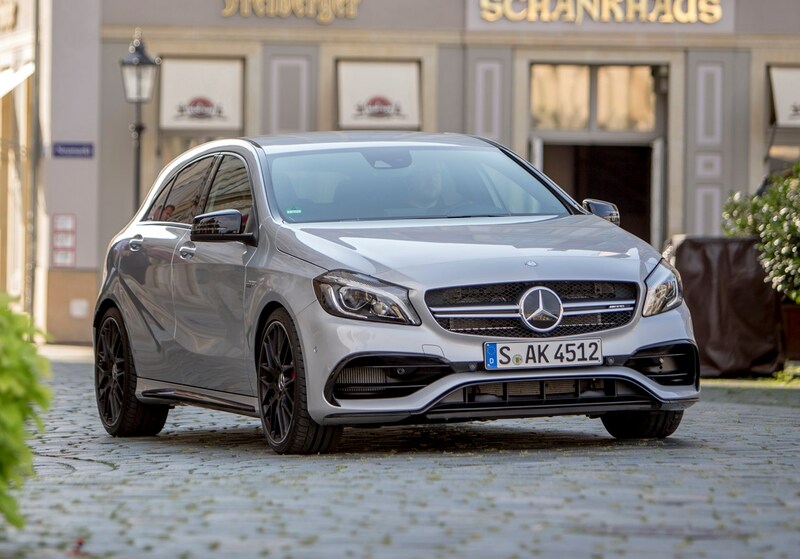 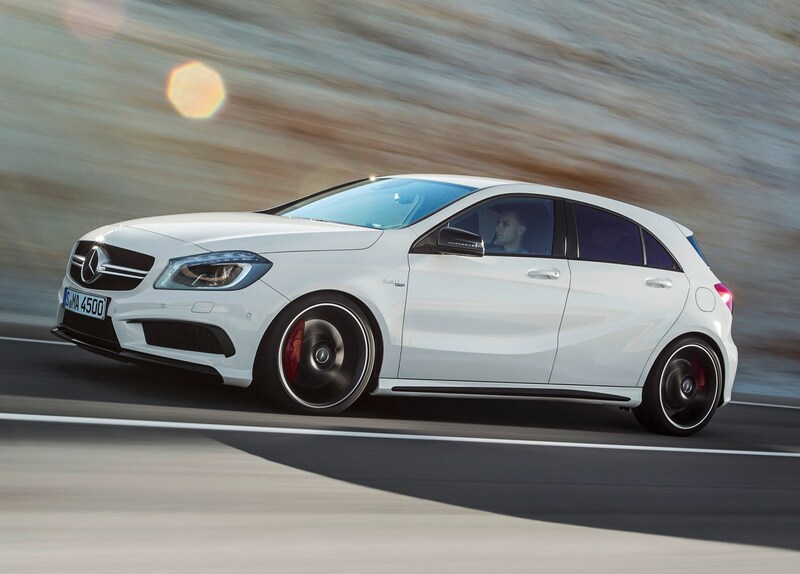 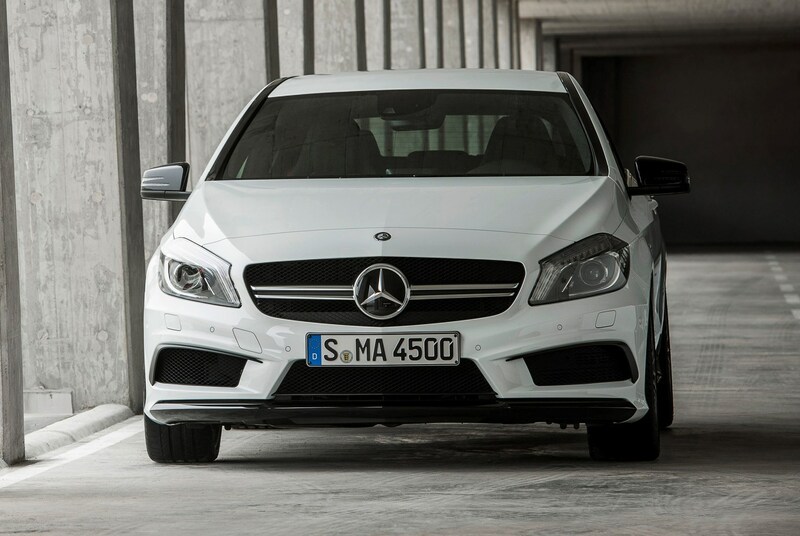 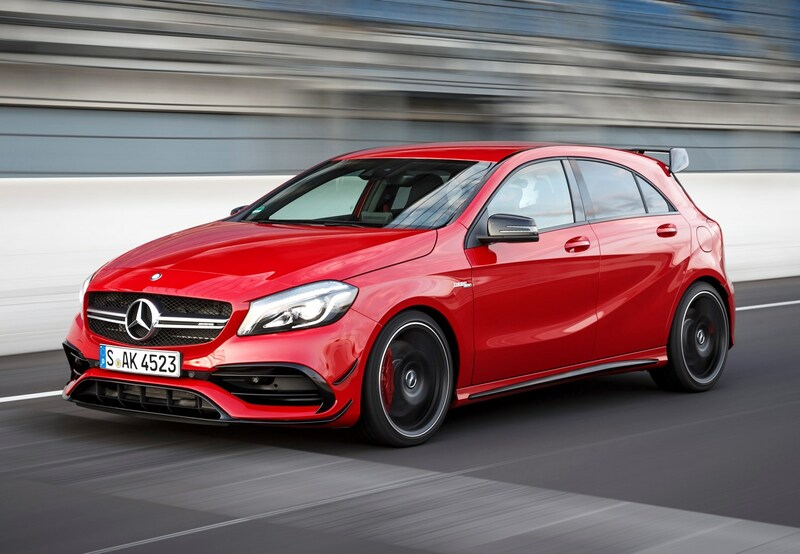 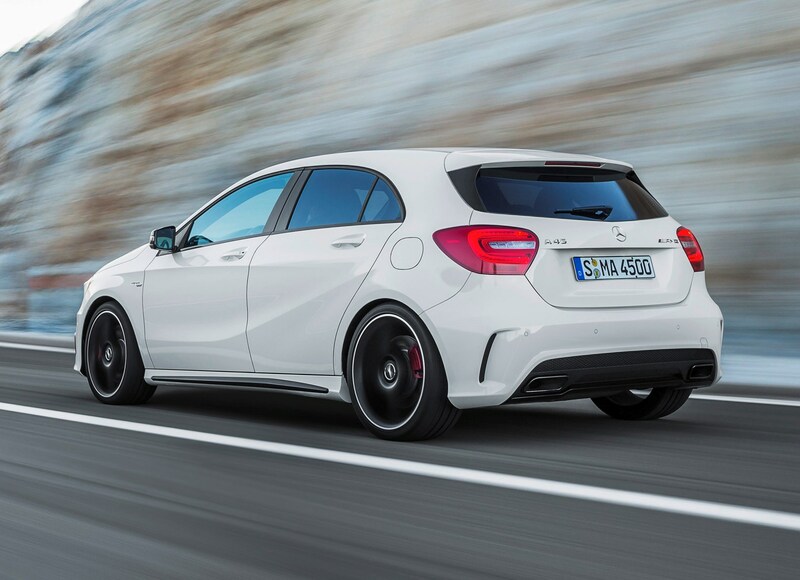 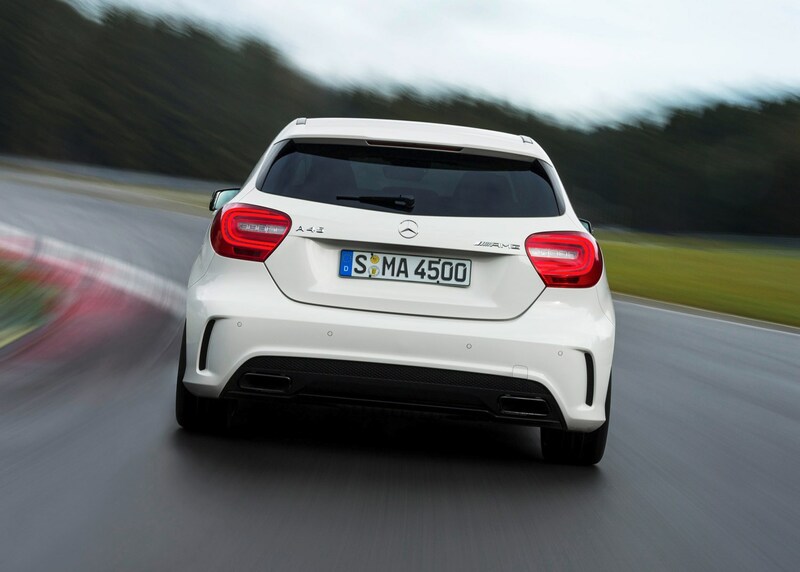 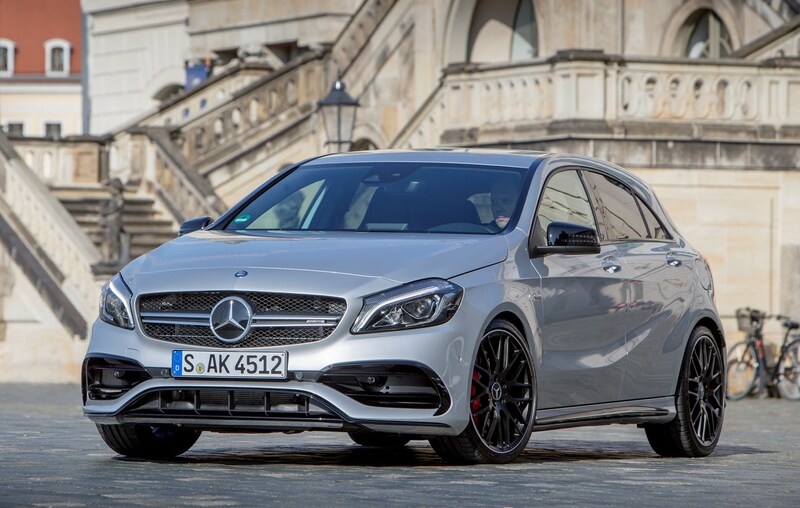 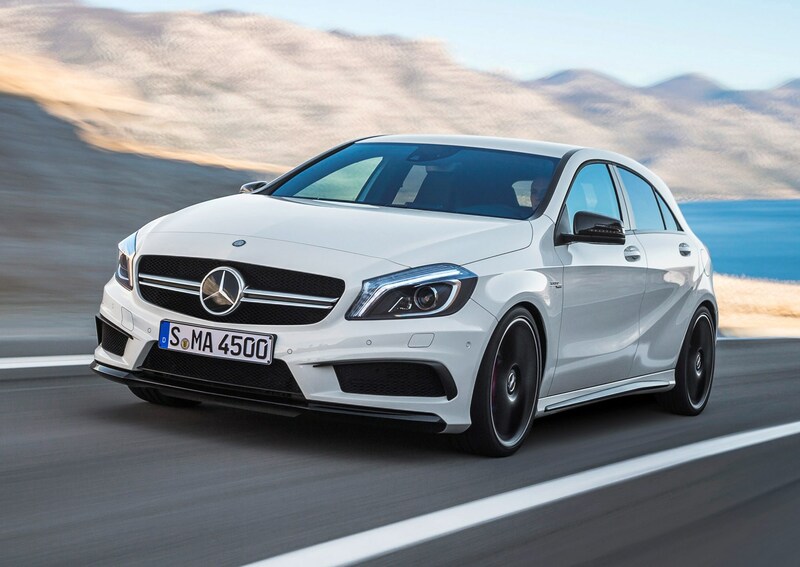 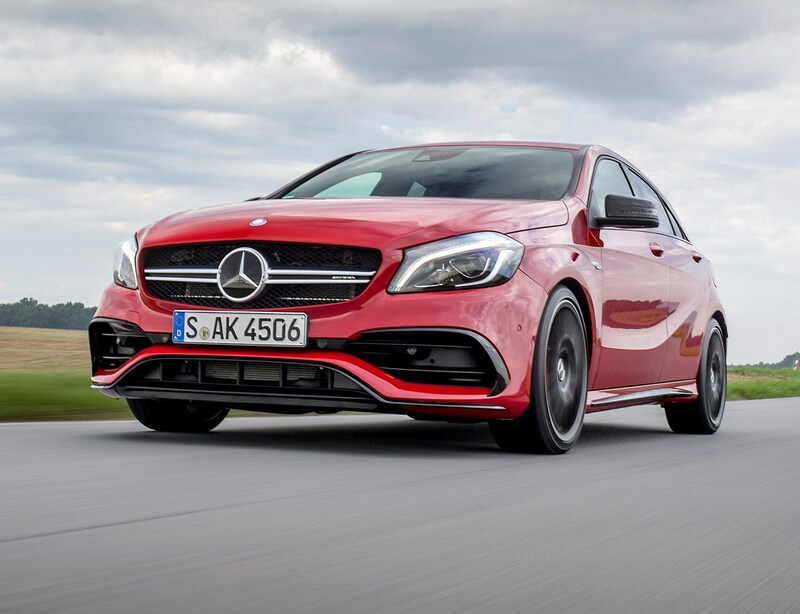 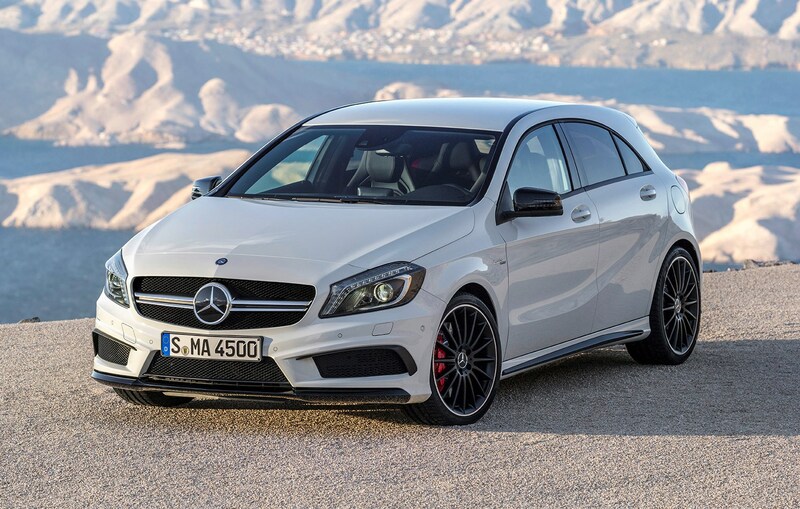 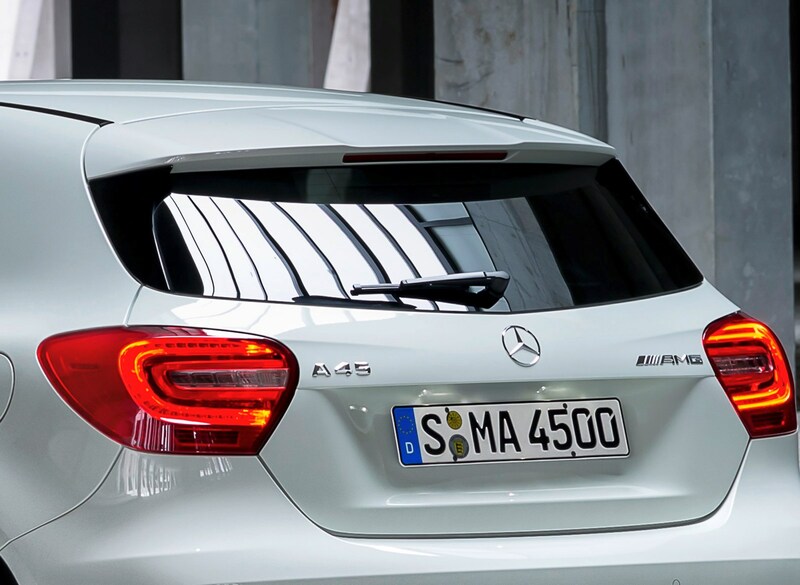 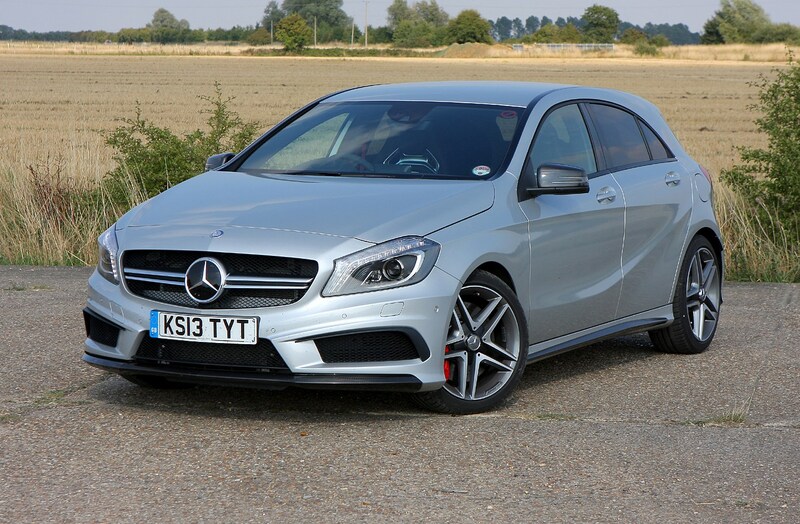 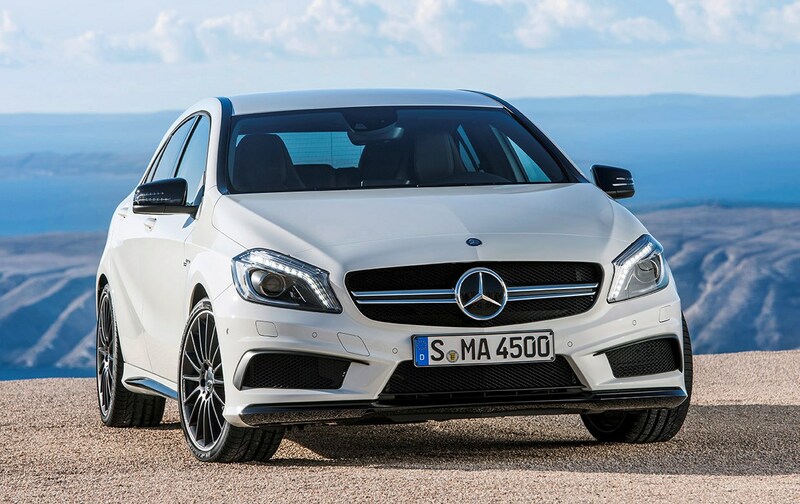 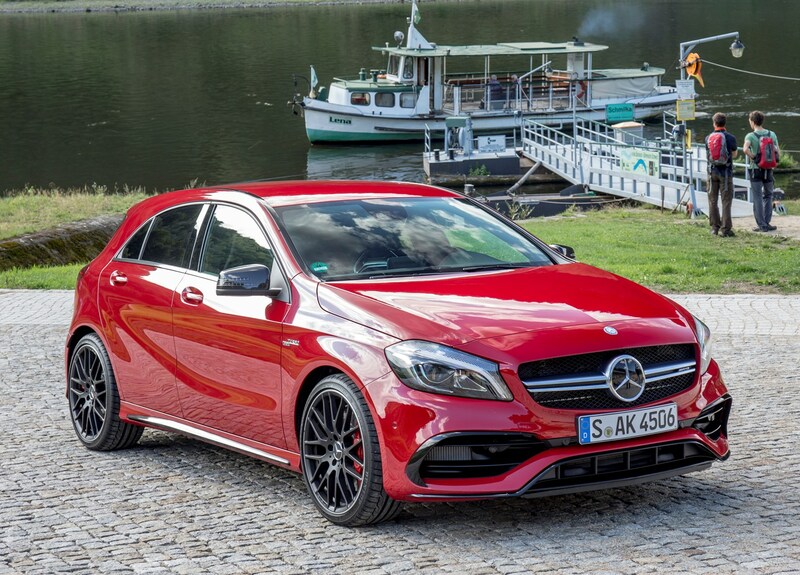 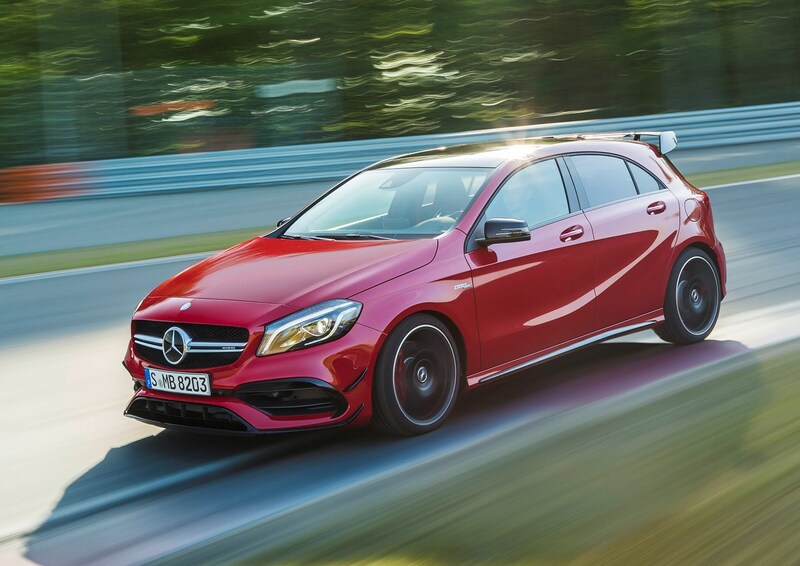 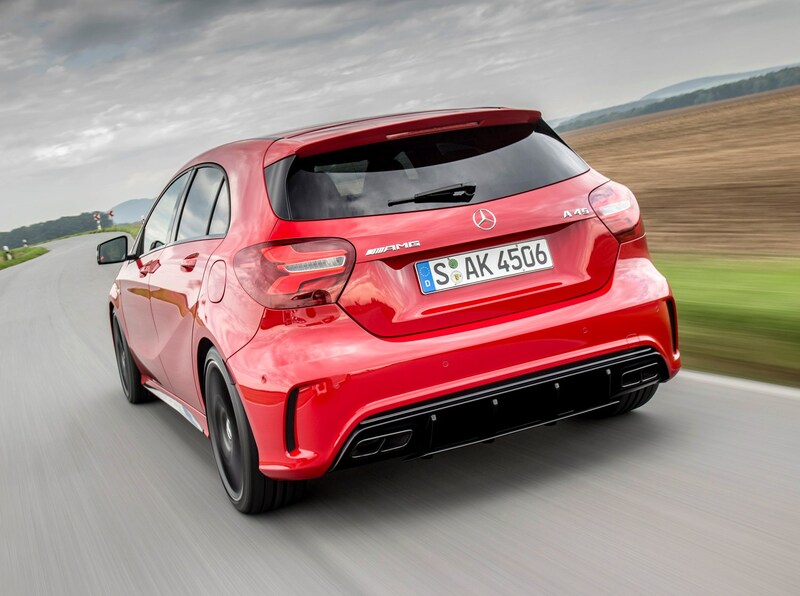 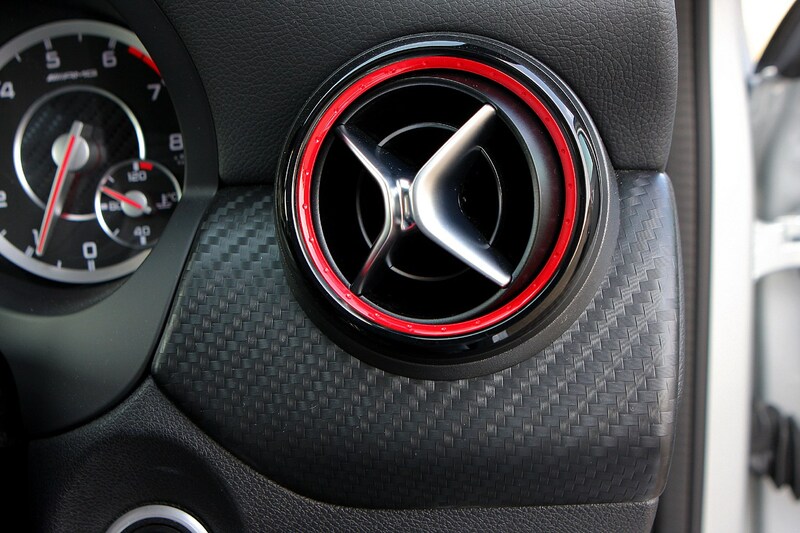 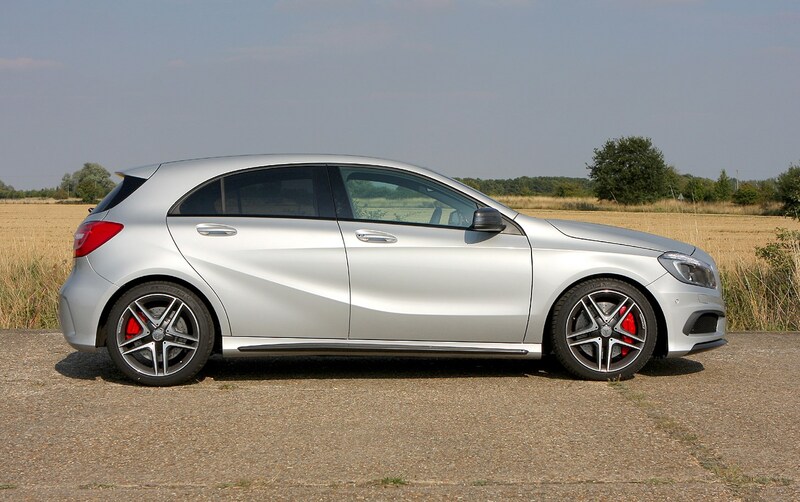 The new Mercedes-Benz A 45 AMG is an ultra-high performance hot hatchback based on the regular A-Class. 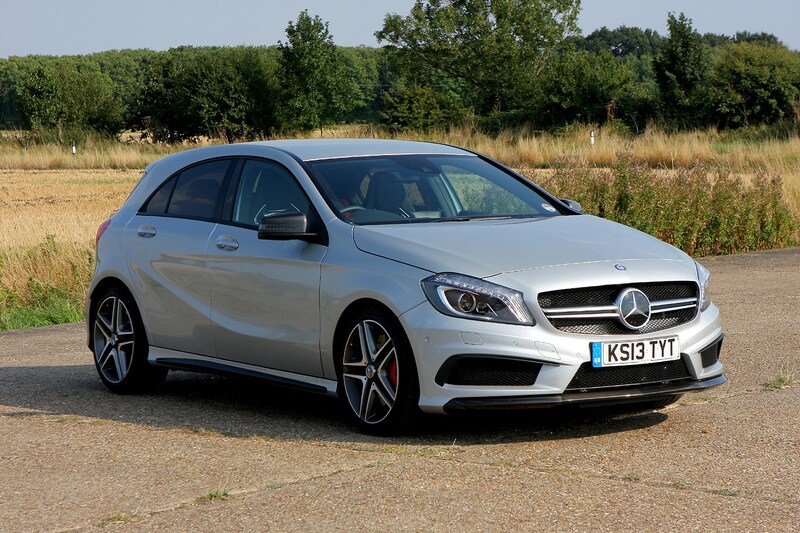 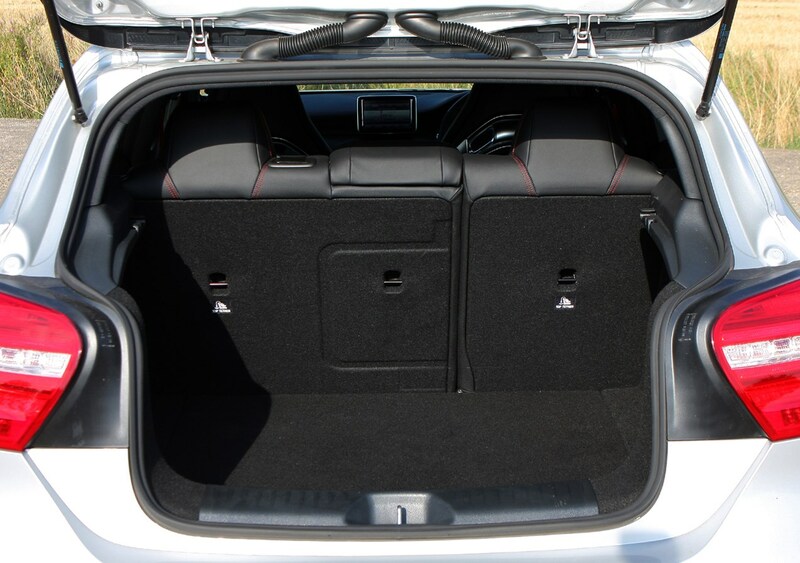 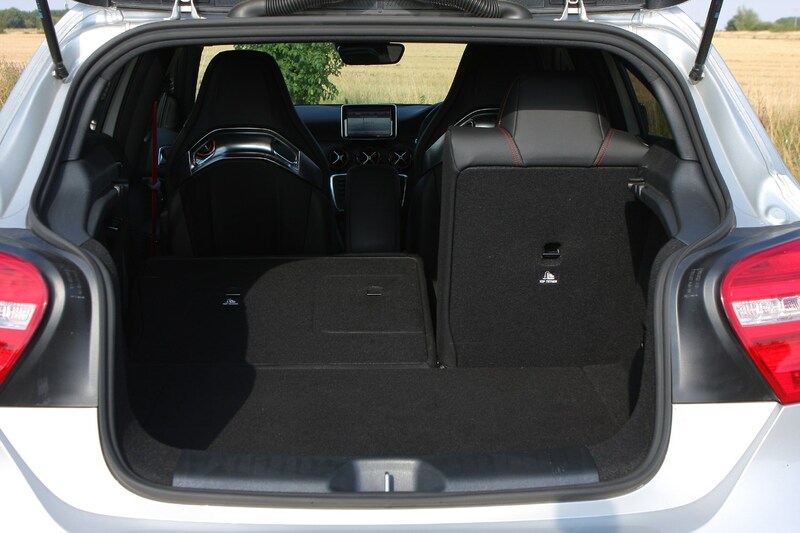 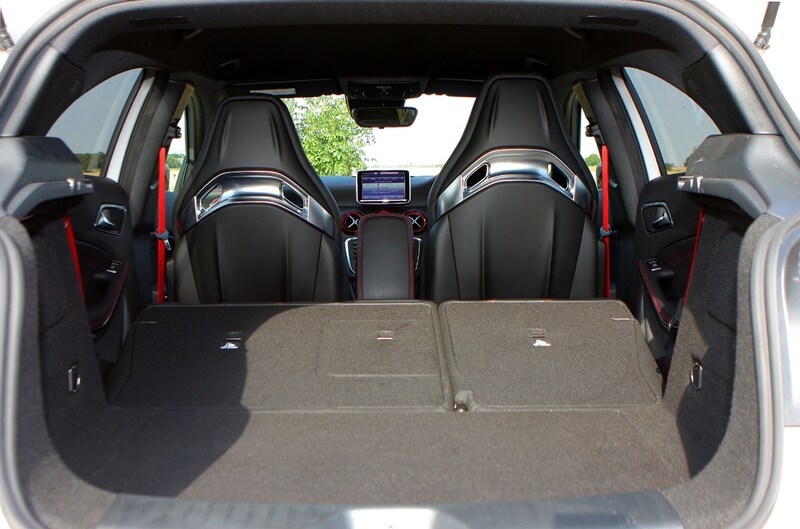 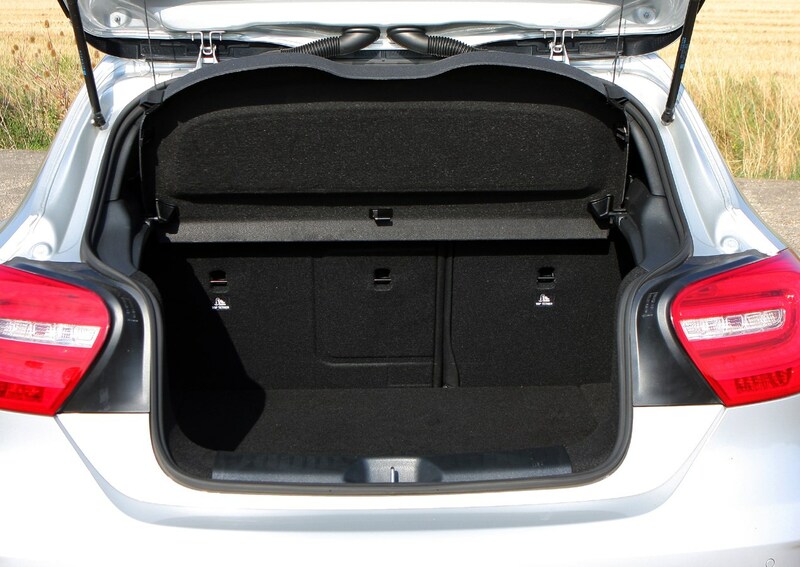 It combines hatchback family car practicality with breath-taking performance, incredible levels of grip and running costs which are fairly low consider the speeds this car is capable of. 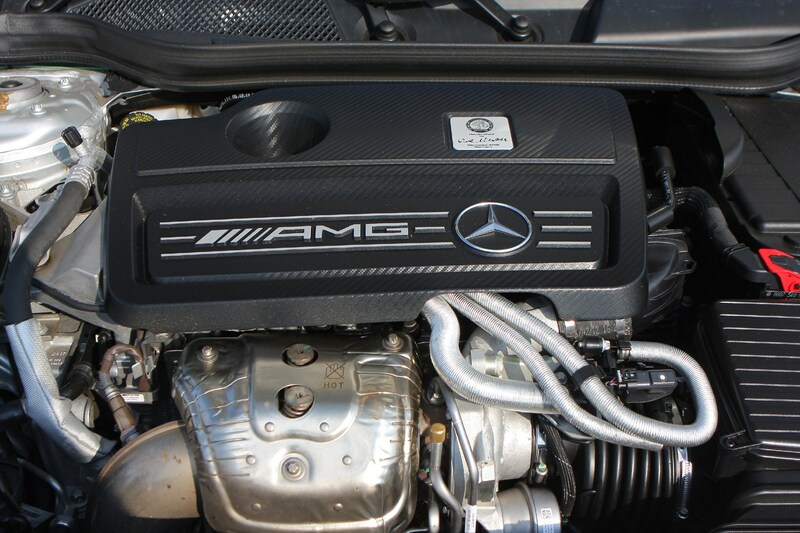 It isn't cheap, though. 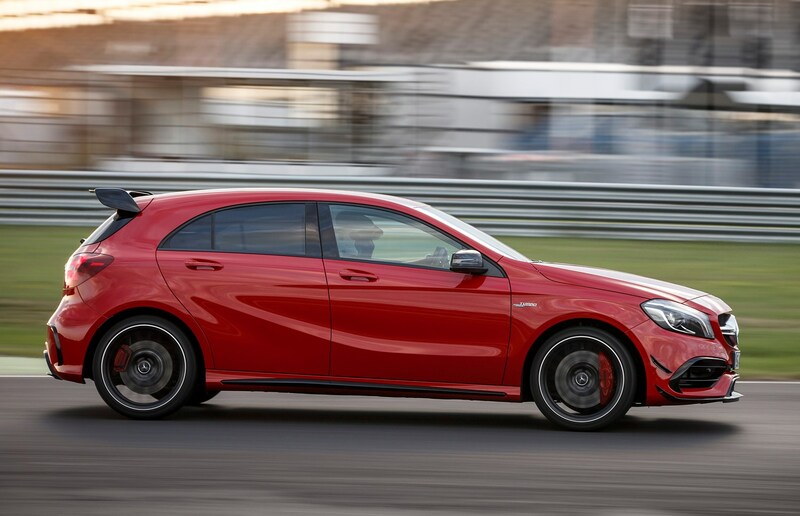 The A 45's chassis is shared with the Mercedes-Benz CLA 45 AMG, but where the former is a proper hot hatch with a rock-hard ride and a sportier-sounding exhaust, the significantly more expensive CLA is slightly quieter, slightly more comfortable and boasts a much bigger boot. 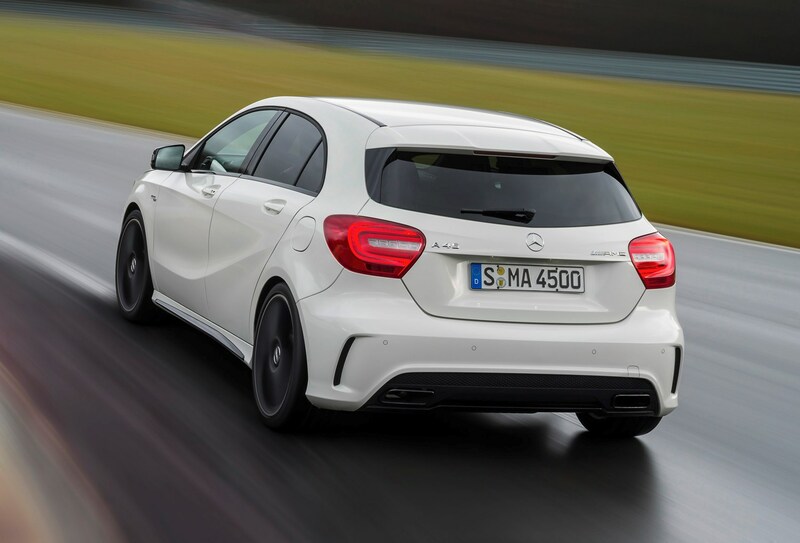 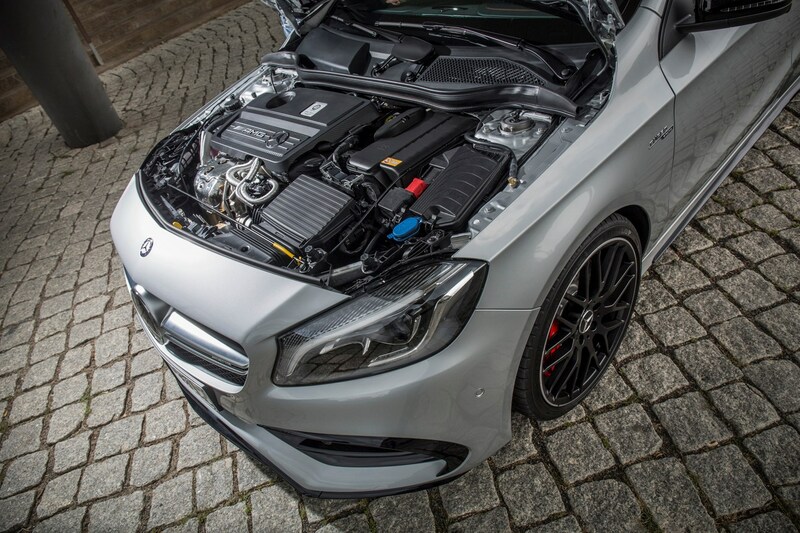 With a maximum output of 355bhp and up to 450Nm of pulling power, the A 45 AMG’s 2.0-litre turbocharged engine is the most powerful series production four-cylinder powerplant in the world. 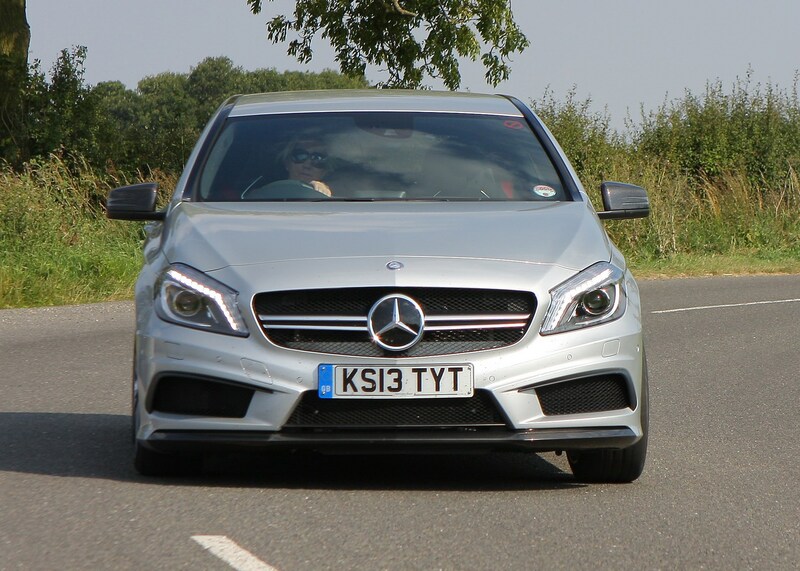 Merc says the result is a 0 to 62mph acceleration time of 4.6 seconds while its top speed stands at 155 mph (electronically limited). 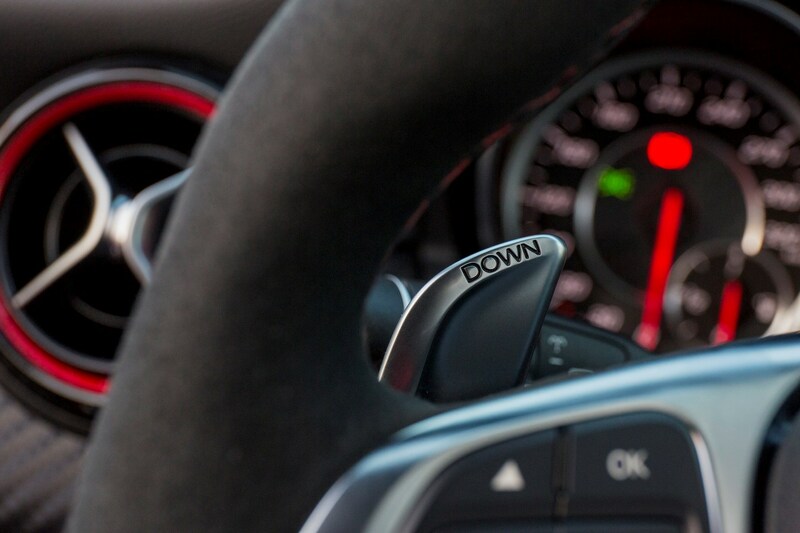 On the road it doesn’t feel quite that fast unless you use the launch control system, but it’s certainly an event. 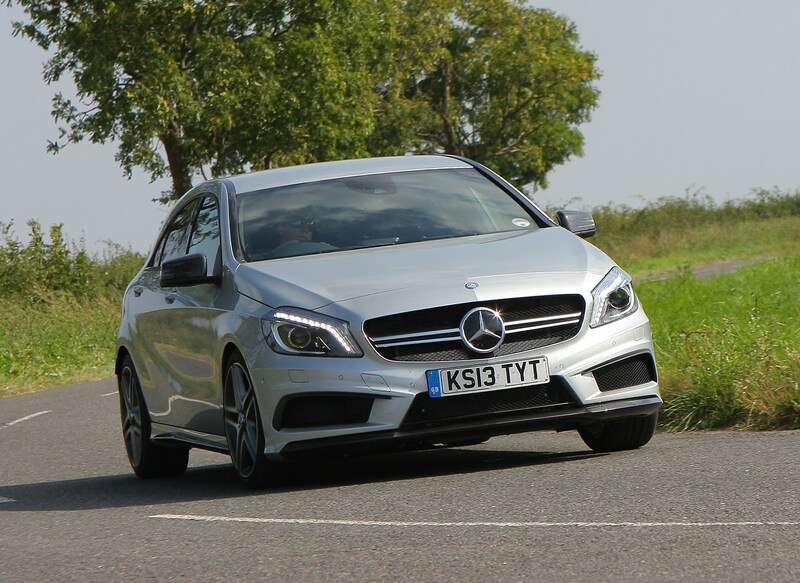 The noise is aggressive and the handling – thanks to four-wheel drive – is balanced and stable with a huge amount of grip. 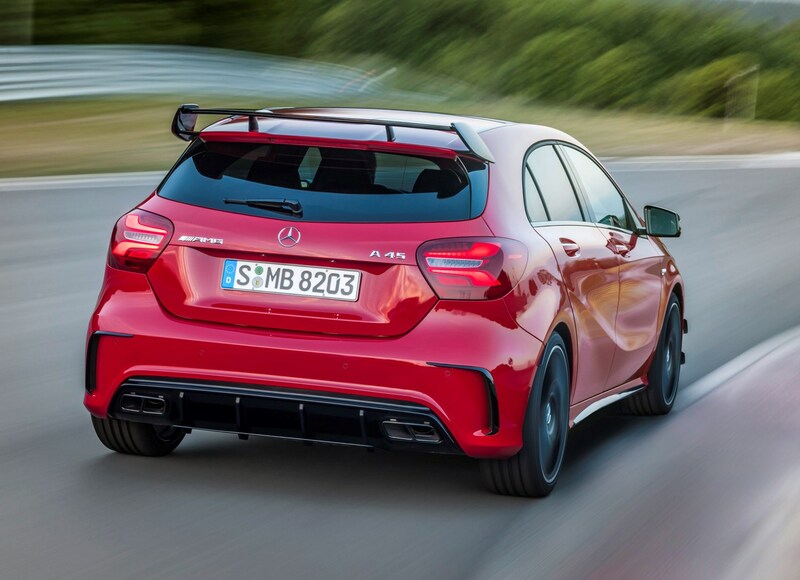 Although this is a serious performance car, the A 45 AMG leads its segment in terms of fuel consumption, returning an official claimed average of 40.9mpg with CO2 emissions of 161g/km. 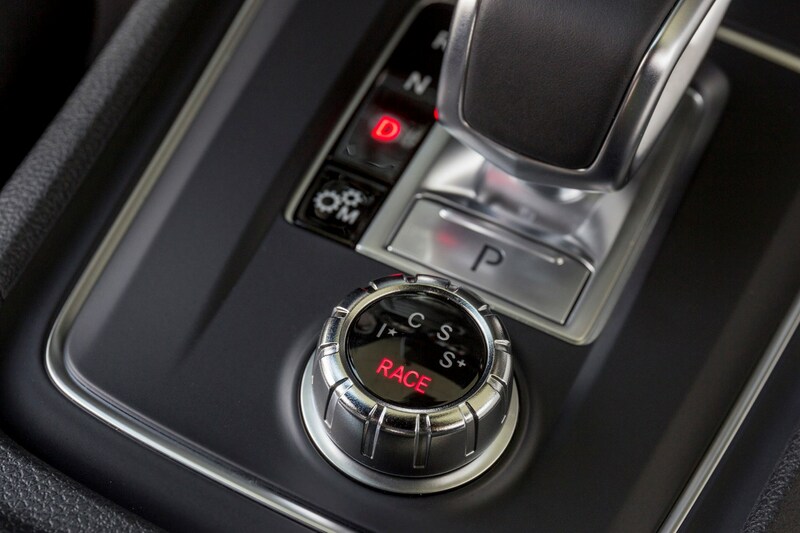 The 2.0-litre petrol engine is mated to a seven-speed dual-clutch automatic transmission with paddleshifts behind the steering wheel. 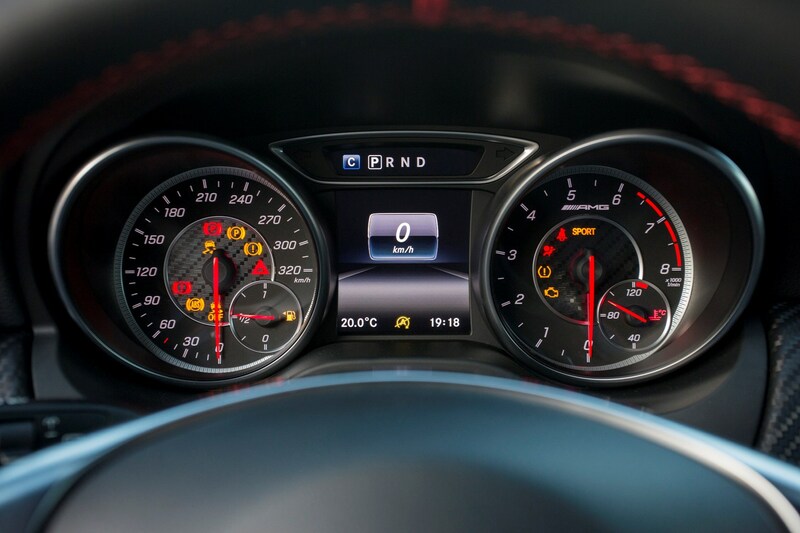 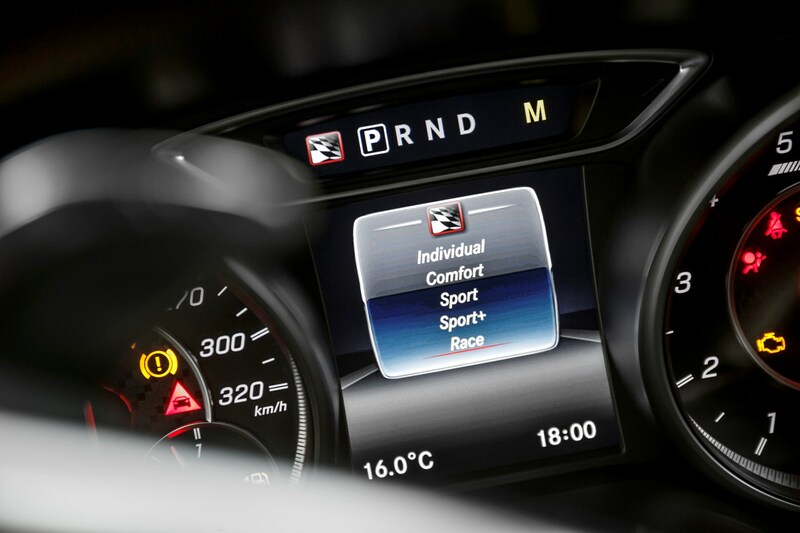 There are three driving programmes – Controlled Efficiency, Sport as well as an ‘M’ setting that stands for ‘Momentary’. 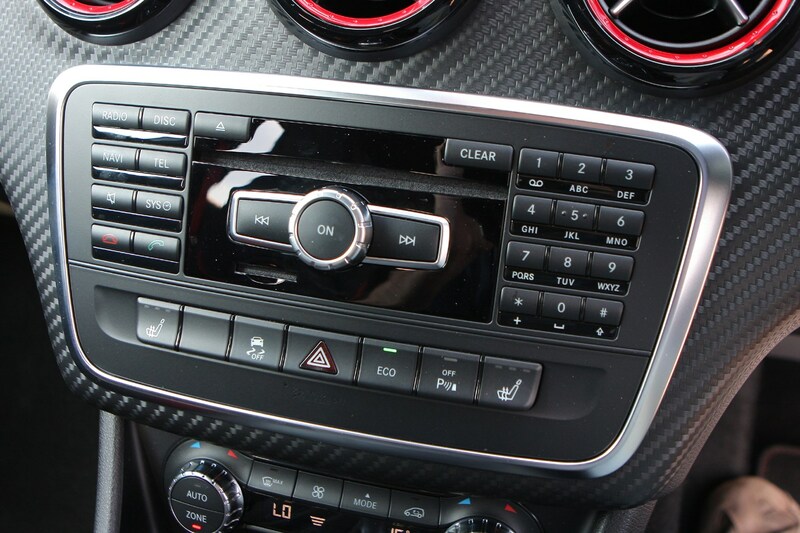 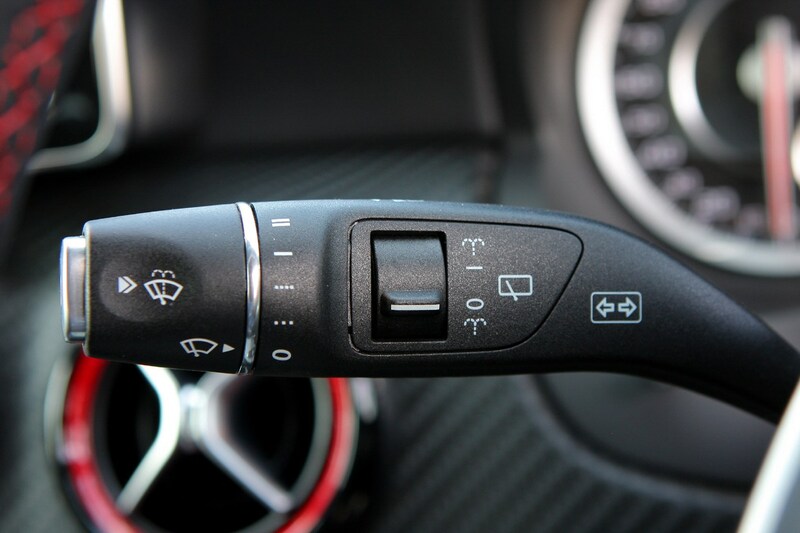 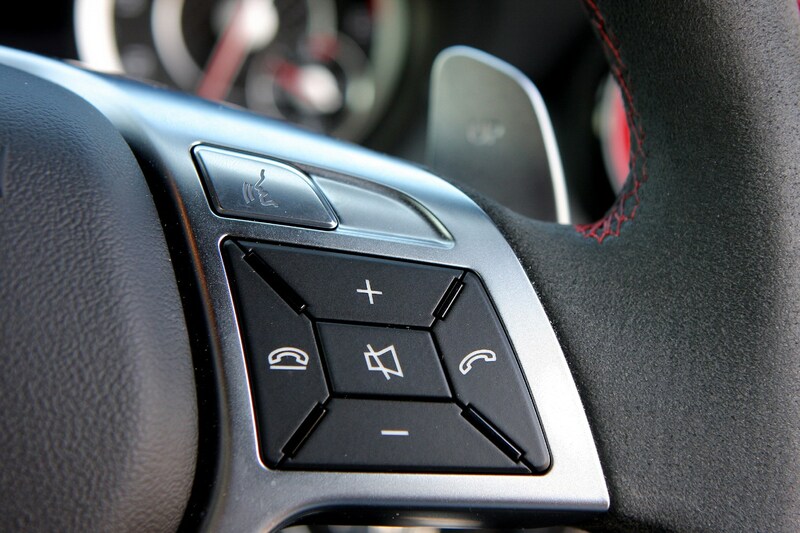 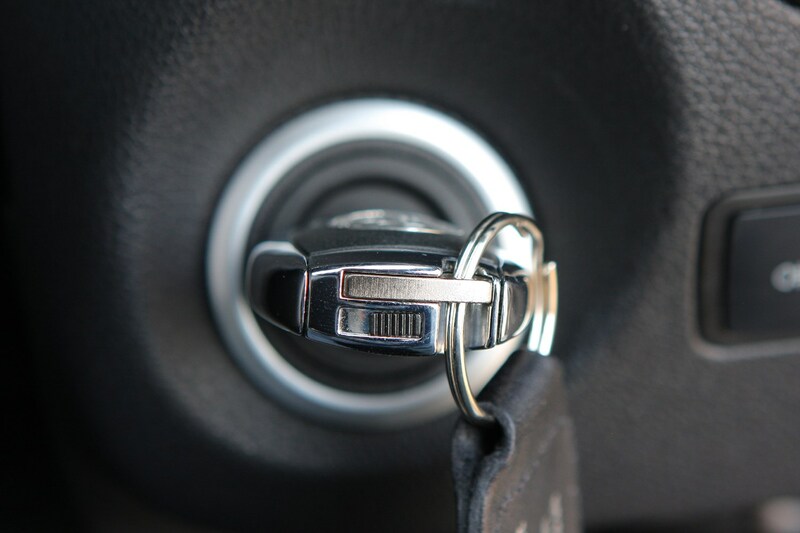 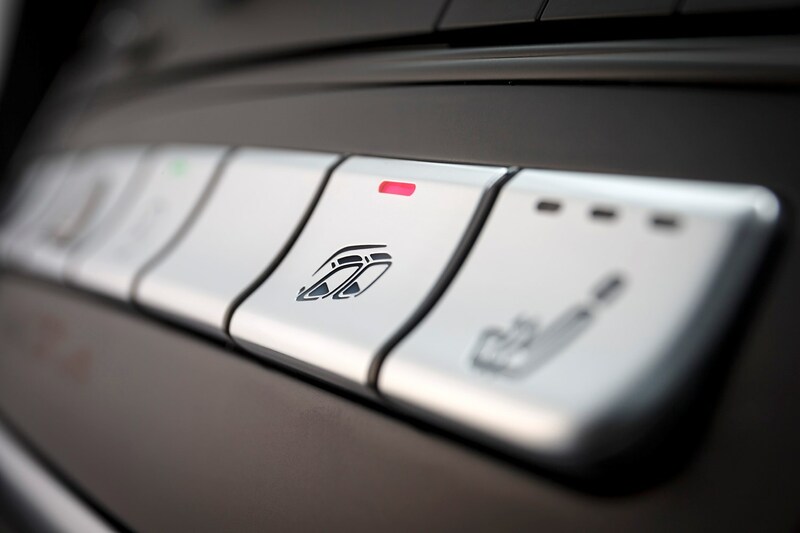 In C and S mode the driver can activate the manual mode (M) without having to remove a hand from the steering wheel by pressing the "up" or "down" shift paddle once. 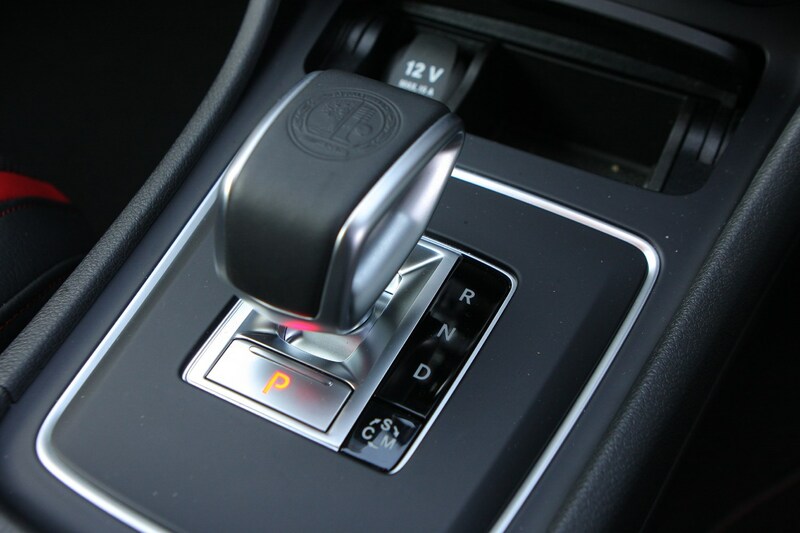 In Momentary M mode the driver can switch to manual gear-shifting in all of the automatic driving programmes with automatic up- and down-shifting. 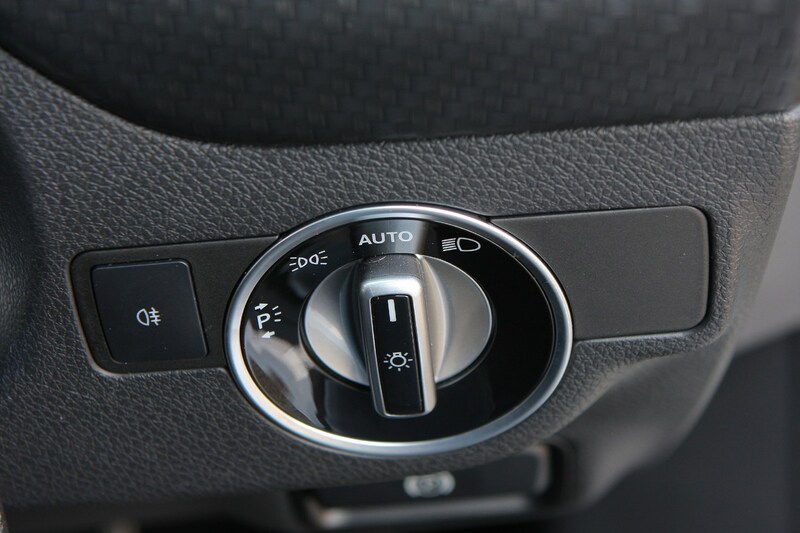 In "C" mode (Controlled Efficiency) the changes are less aggressive in order support a fuel-efficient and comfort-oriented driving style. 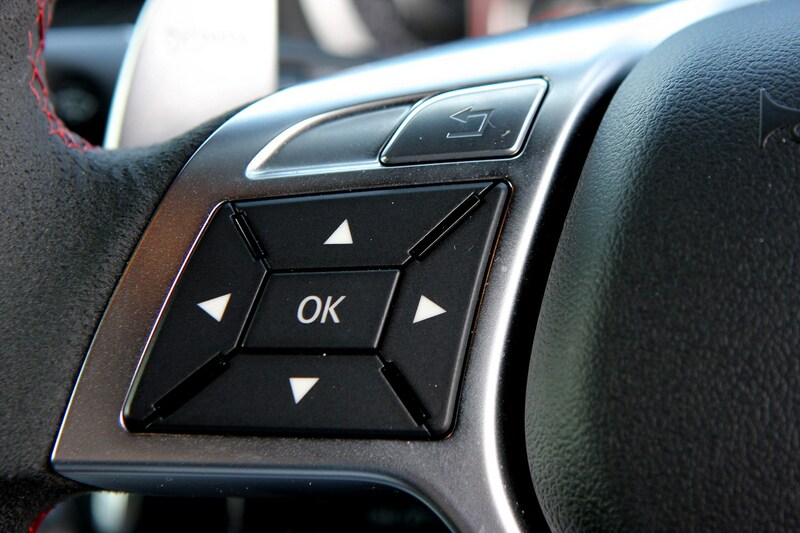 The start/stop function is also active in "C" mode. 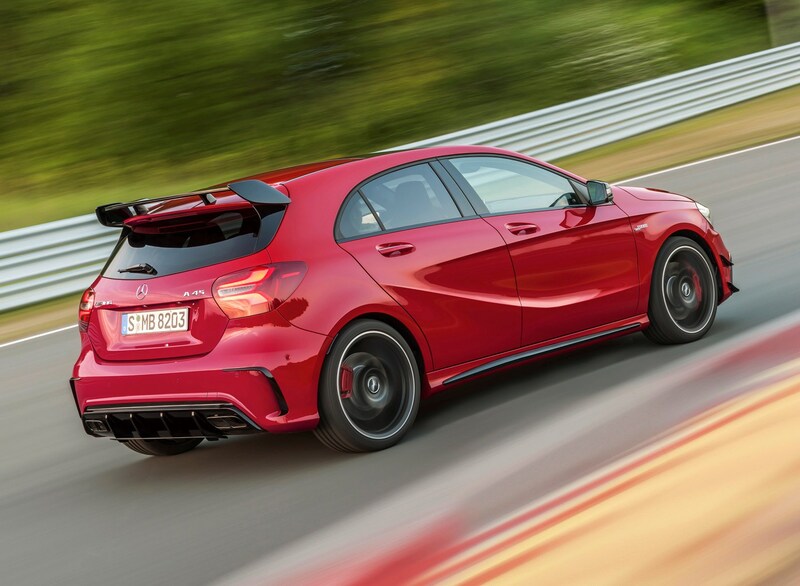 Interestingly, Merc has included race-car features on the gearbox such as a double-declutching function and RACE START for optimum acceleration. 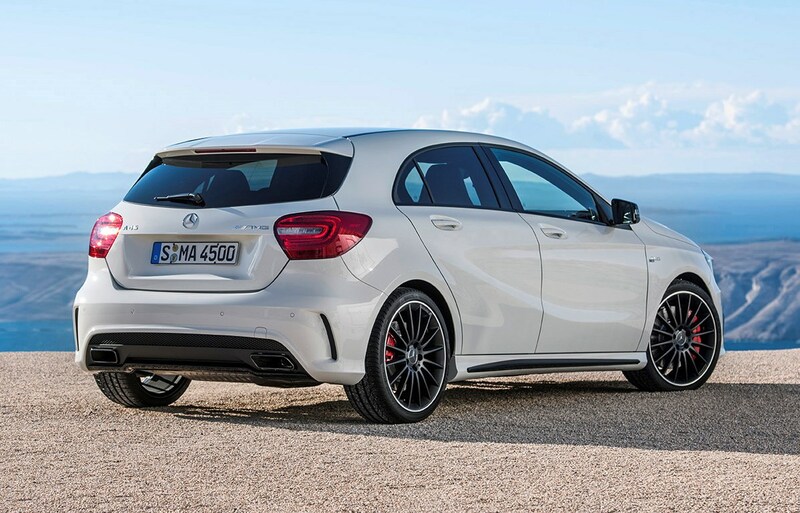 There’s also a three-stage stability control function and that enables the driver to vary the dynamics of the A 45 AMG at the push of a button. 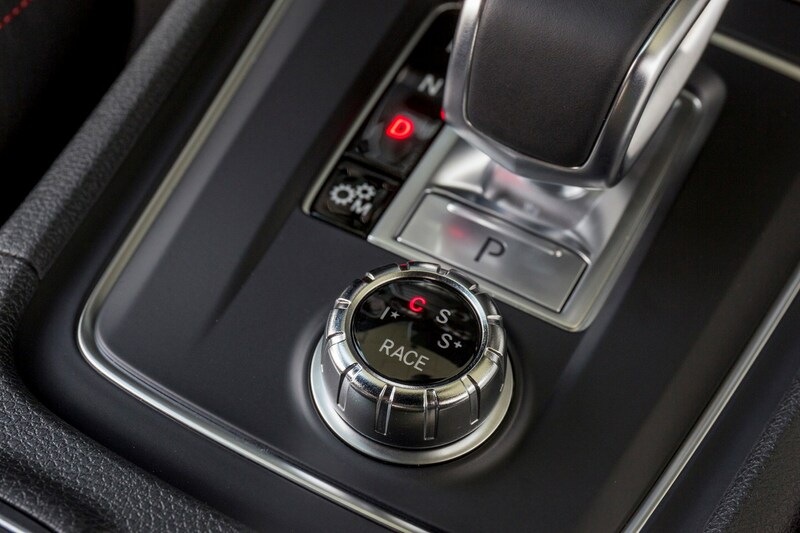 The safety-oriented "ESP ON" mode offers more neutral handling characteristics but switch it off and things get more interesting. 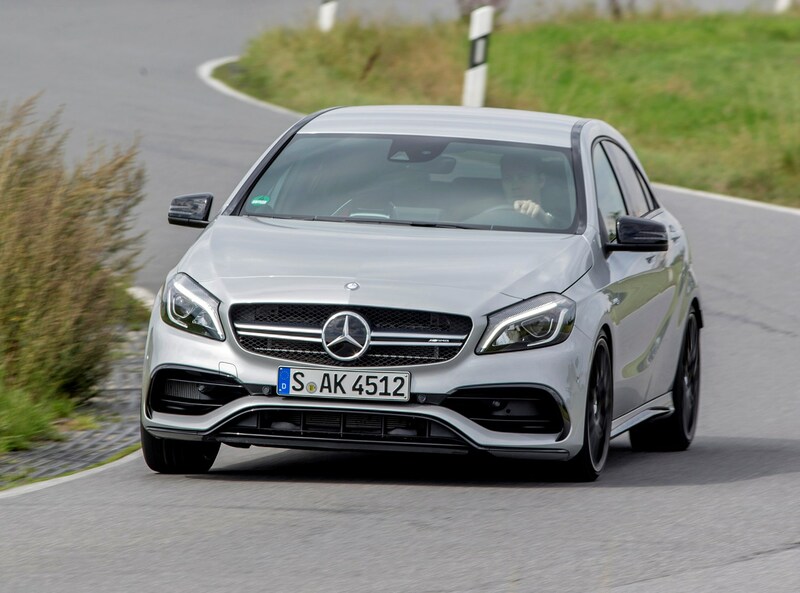 Merc says this is best for track work but if the driver wants more dynamic handling on the road there’s also a ‘Sport Handling’ setting to choose from. 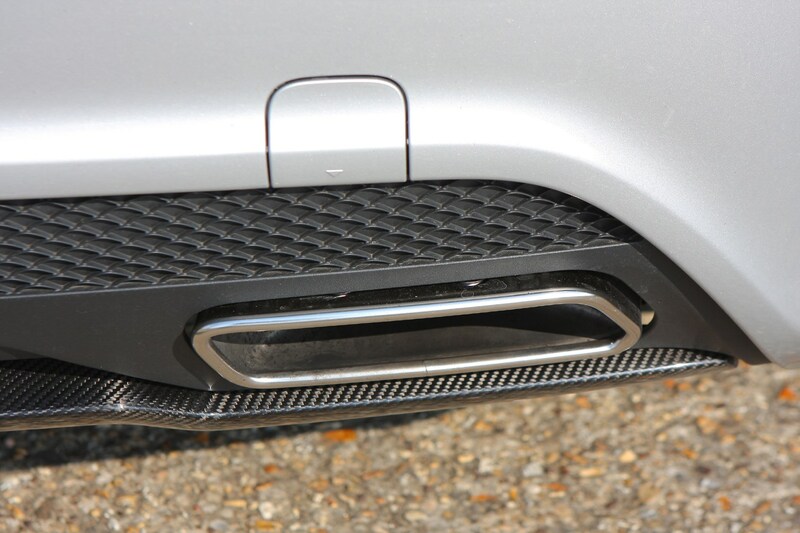 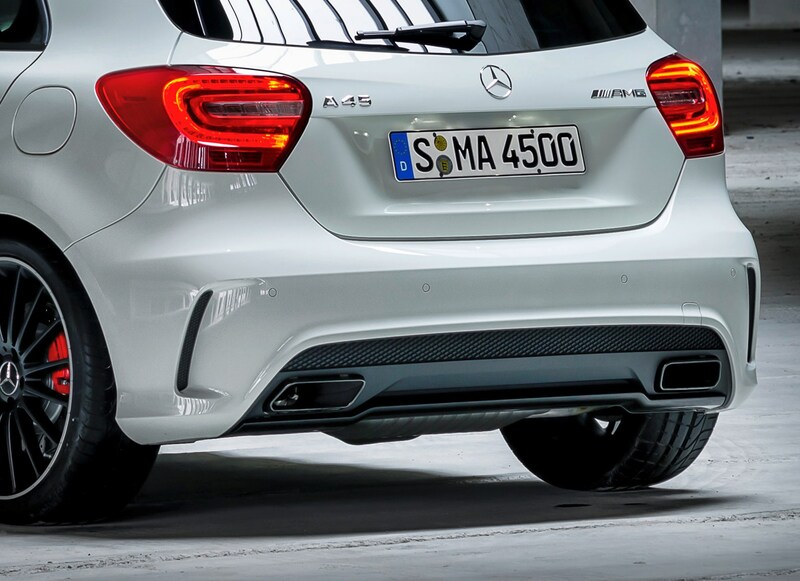 The A 45 AMG’s front end features a twin-blade radiator grille while the rear gets a diffusor and trim insert in matt titanium grey. 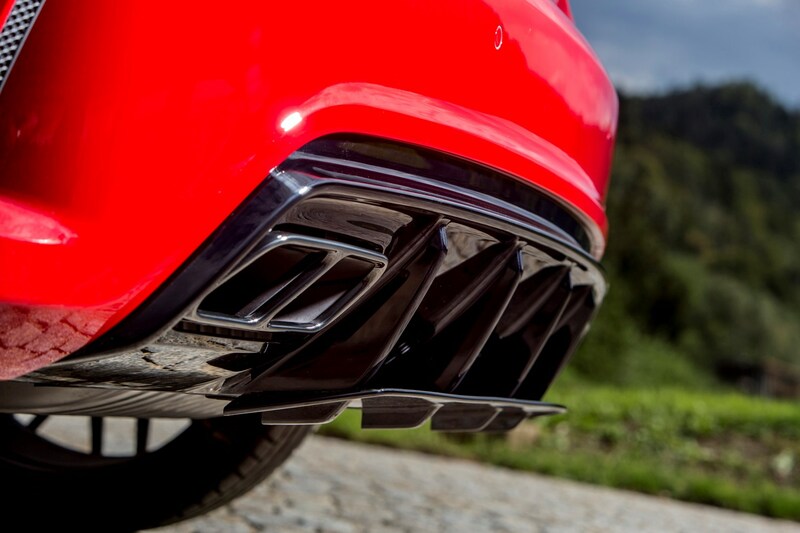 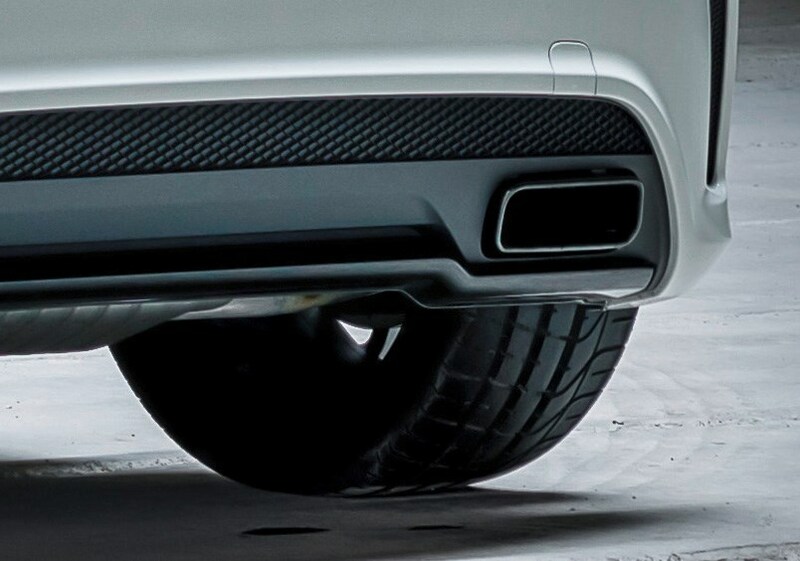 Two square, chrome-plated tailpipes add to the drama. 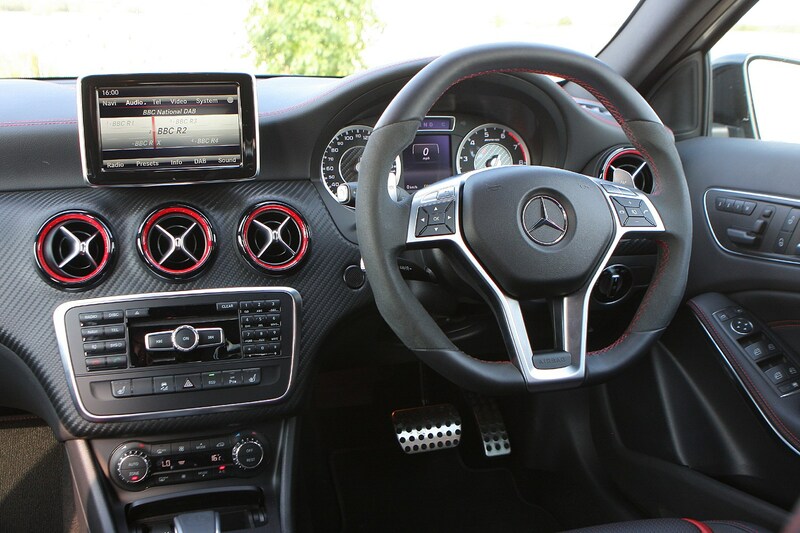 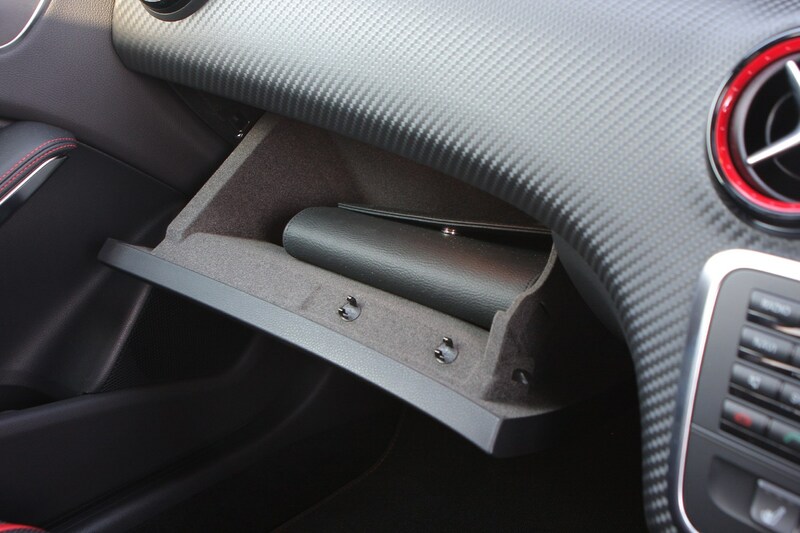 It also comes with 18-inch alloy wheels, extra bodykit, sports seats and a carbon fibre dash with sporty detailing. 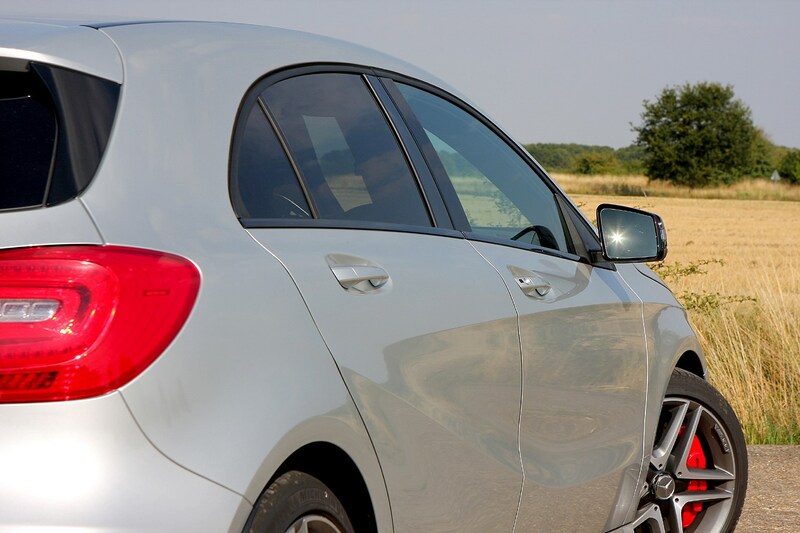 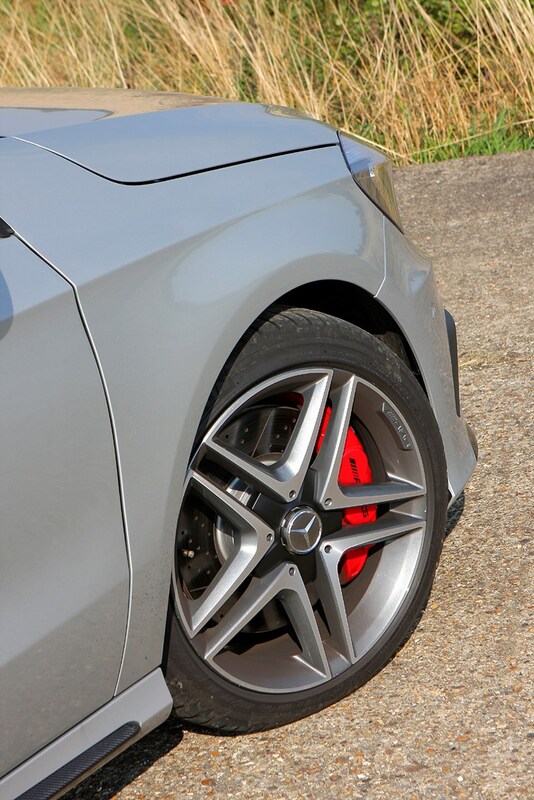 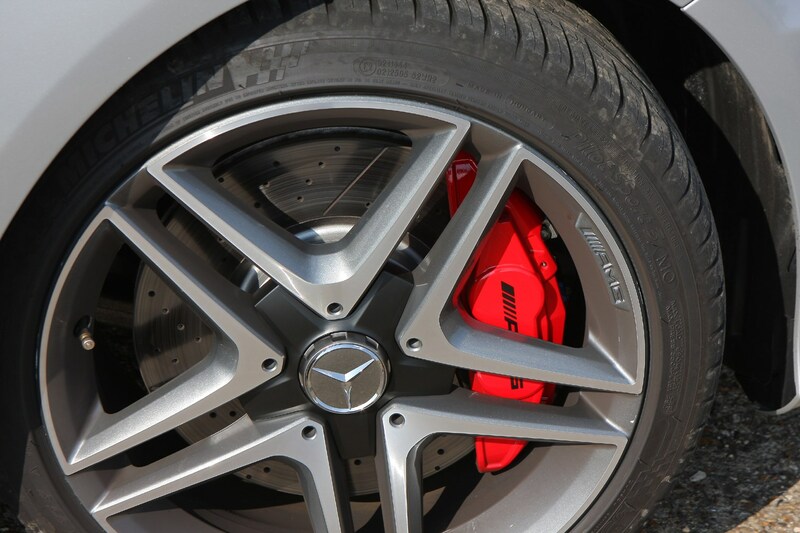 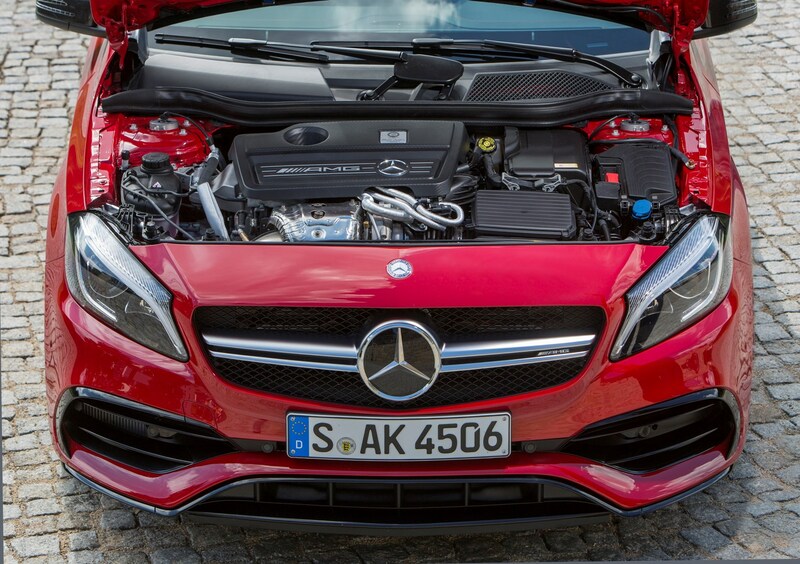 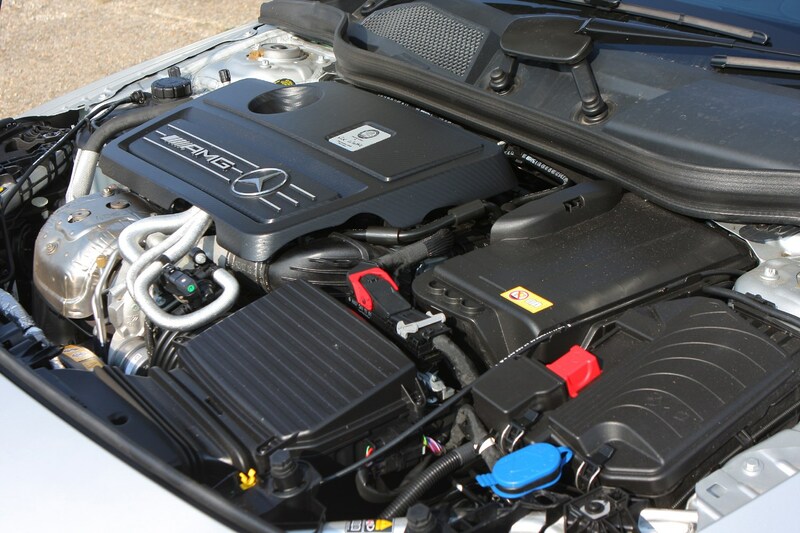 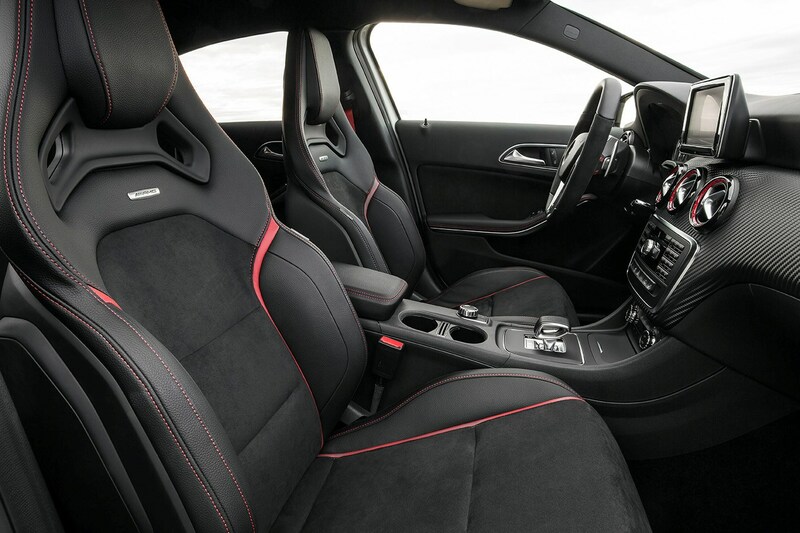 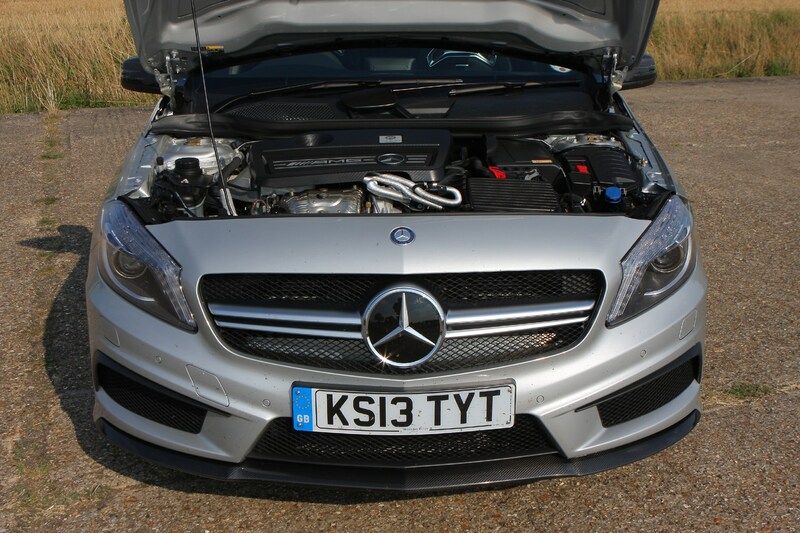 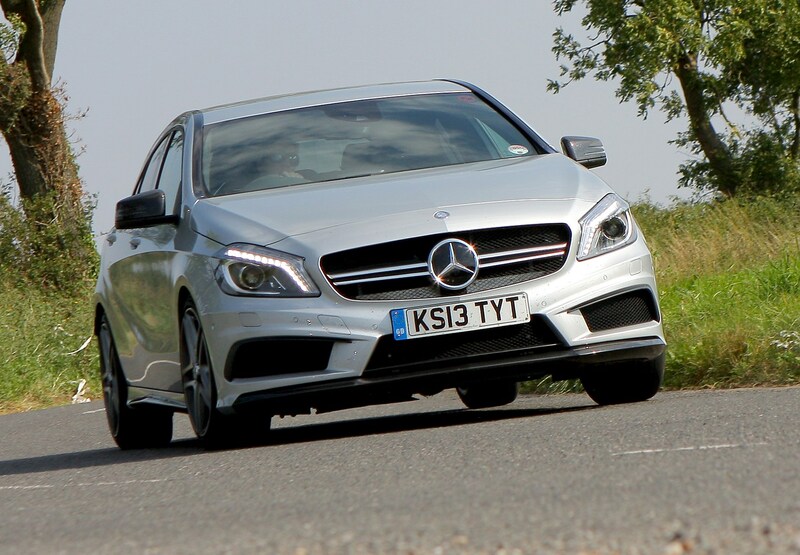 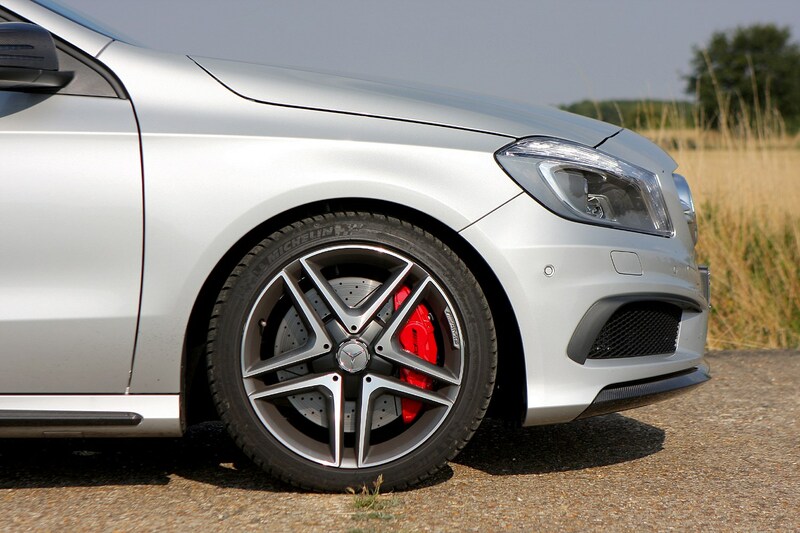 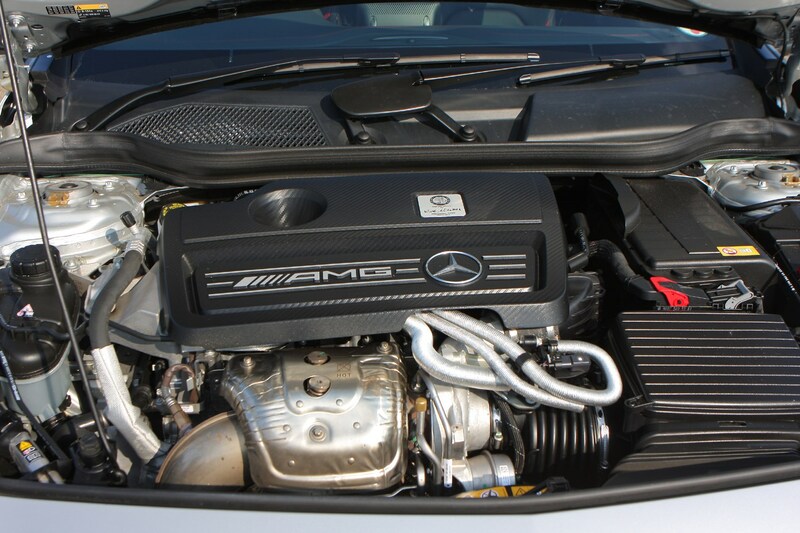 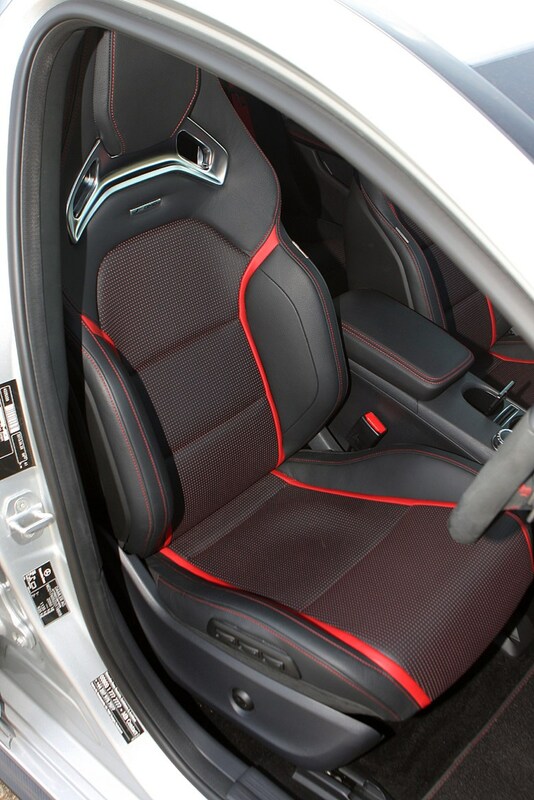 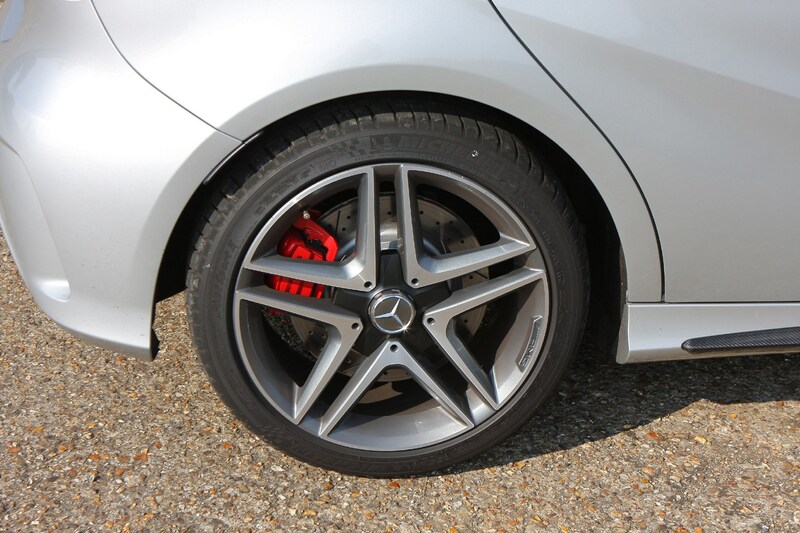 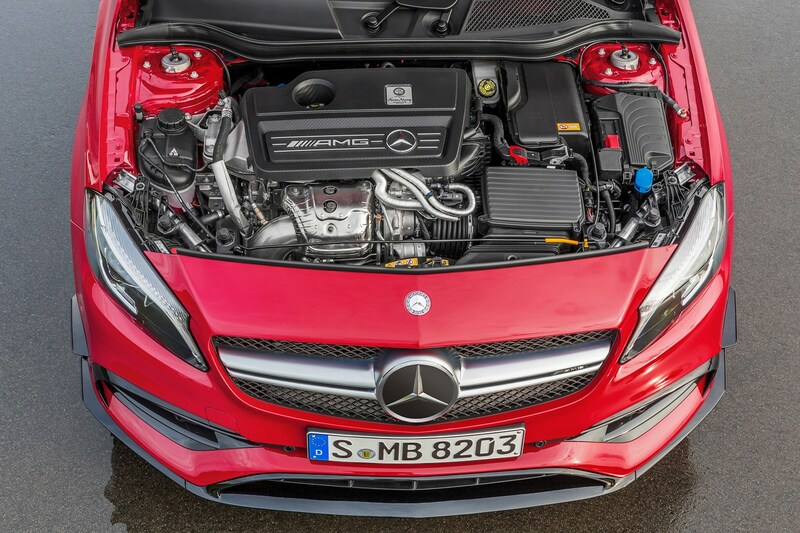 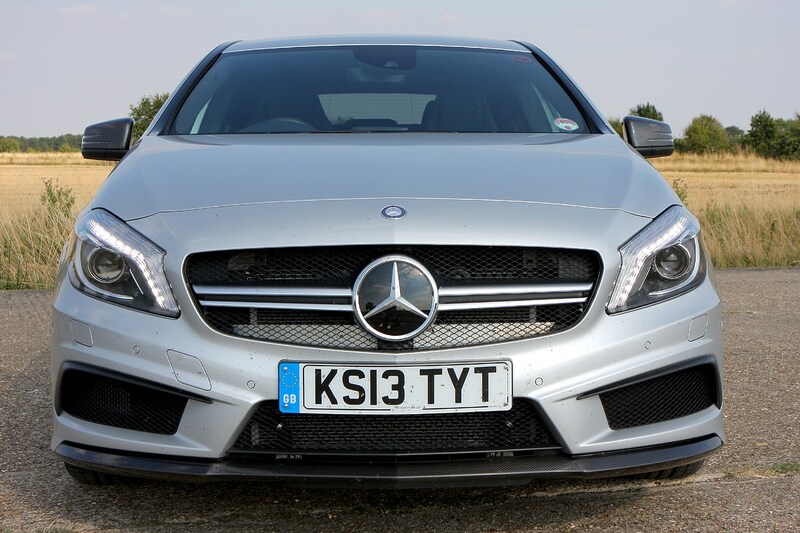 Typically, it offers sports suspension but buyers can go for the more dynamic AMG performance suspension. 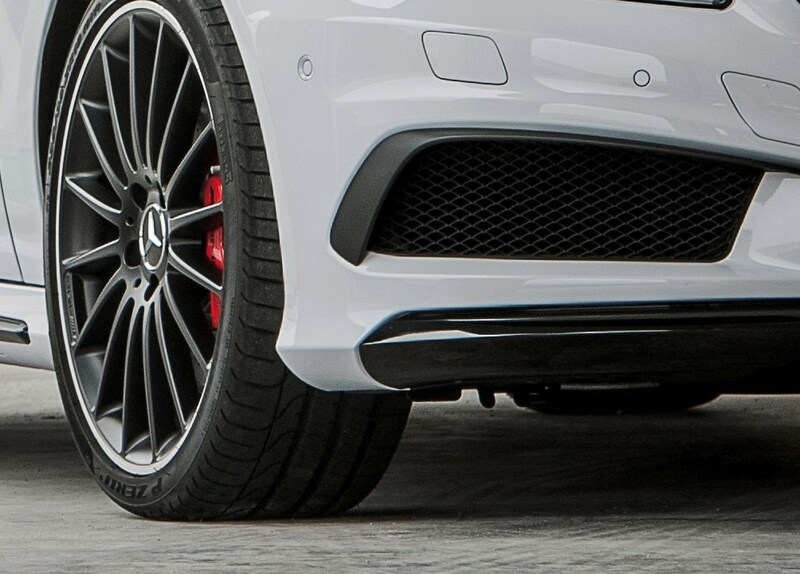 Other options include an AMG rear aerofoil, 19-inch alloys, an uprated performance exhaust system and red painted brake callipers. 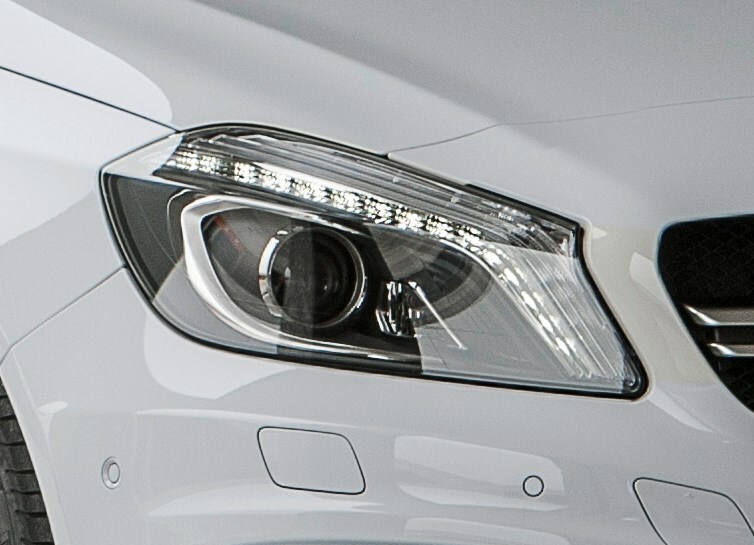 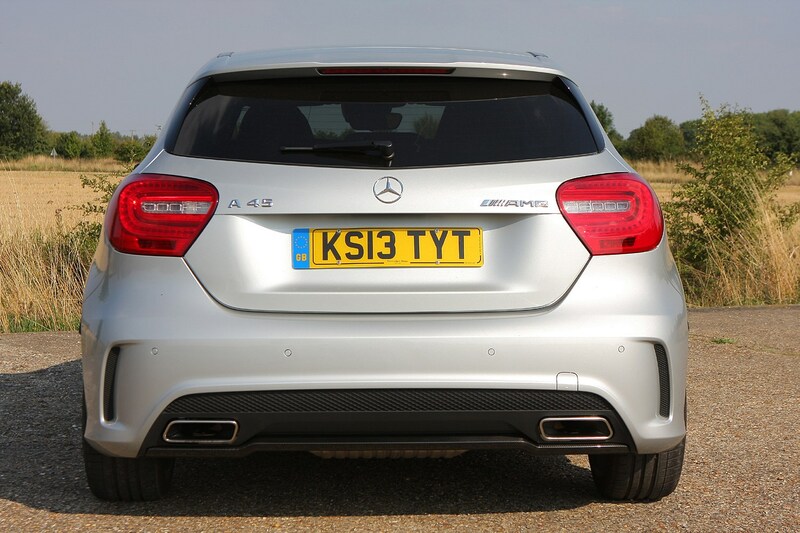 This new car enters the fray against a raft of very competitive rivals. 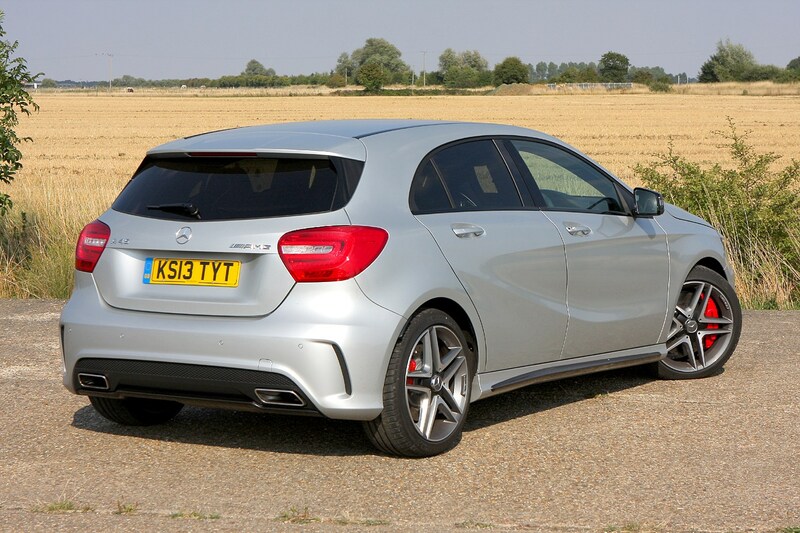 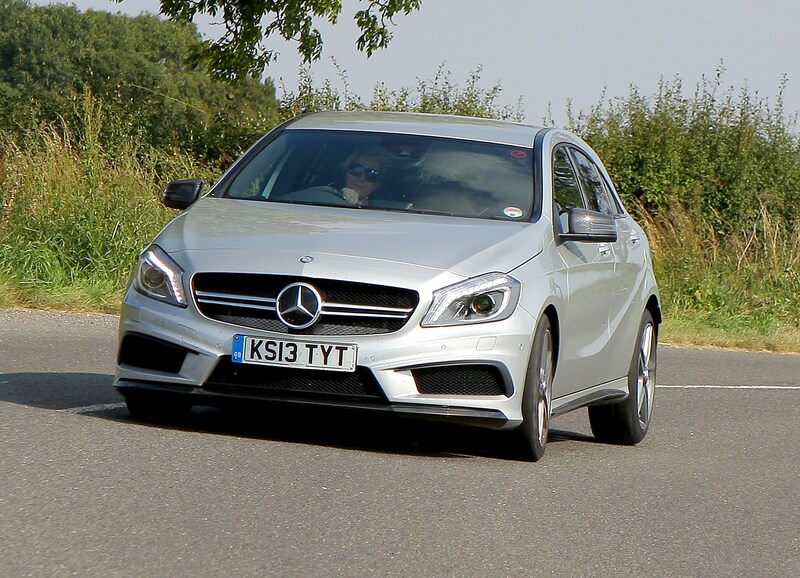 The entire A-Class range was updated in September 2015 and there was a hike of 21bhp and 25Nm from the 2-litre turbocharged engine, bringing peak power to 376bhp and torque to 475Nm. 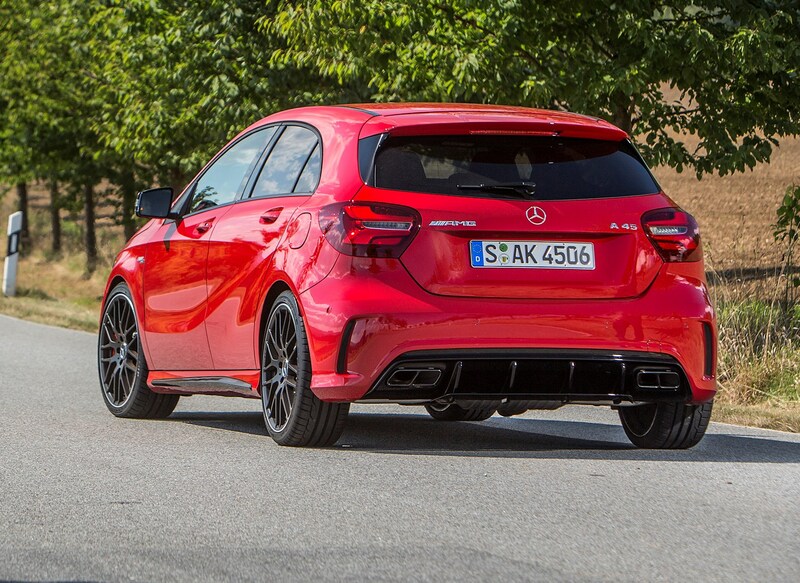 That means a 0.4-second improvement in 0-62mph time. 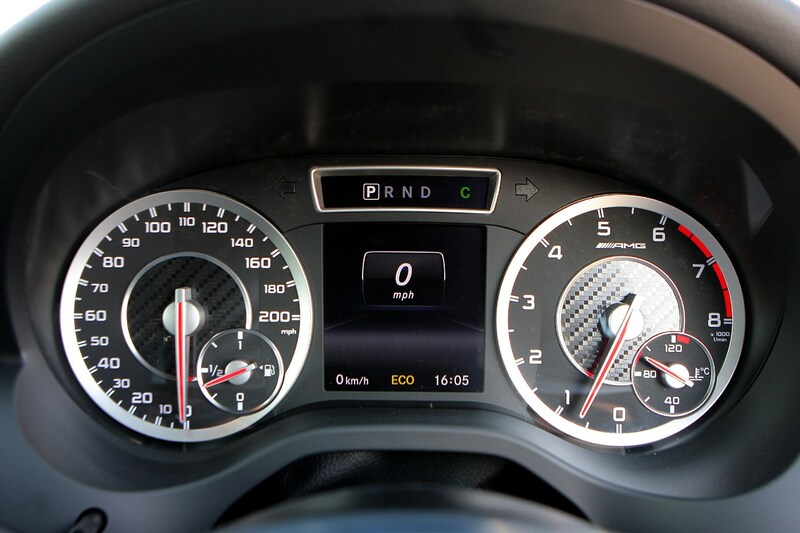 Fuel economy remains the same, at 40.9mpg. 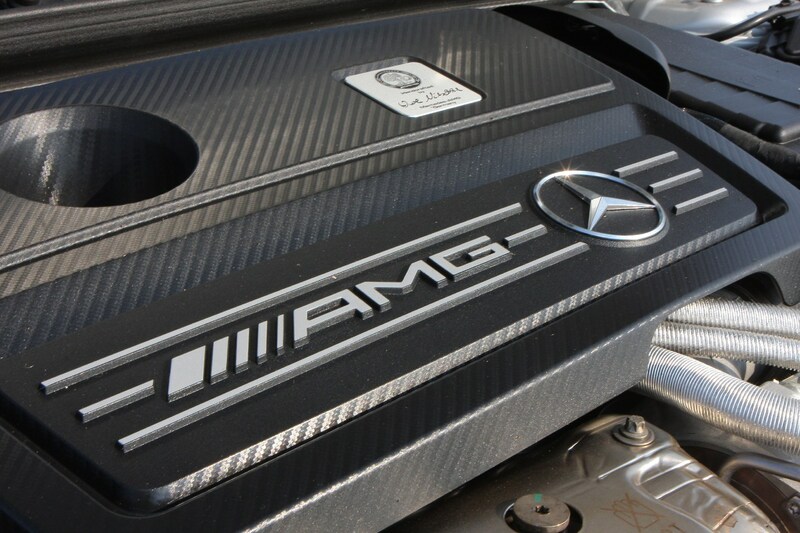 This is quite a specimen. 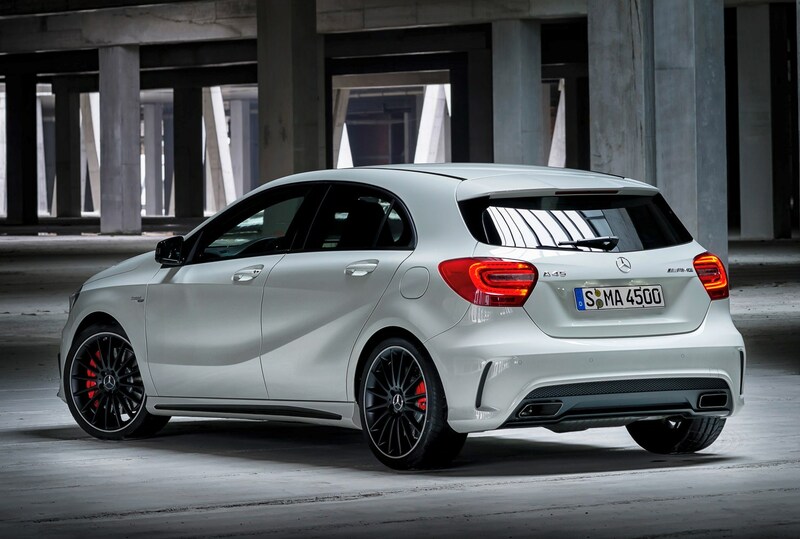 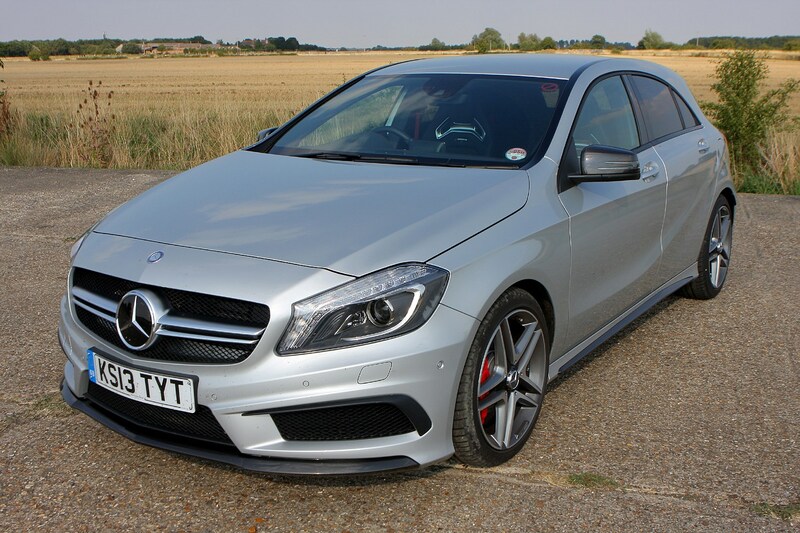 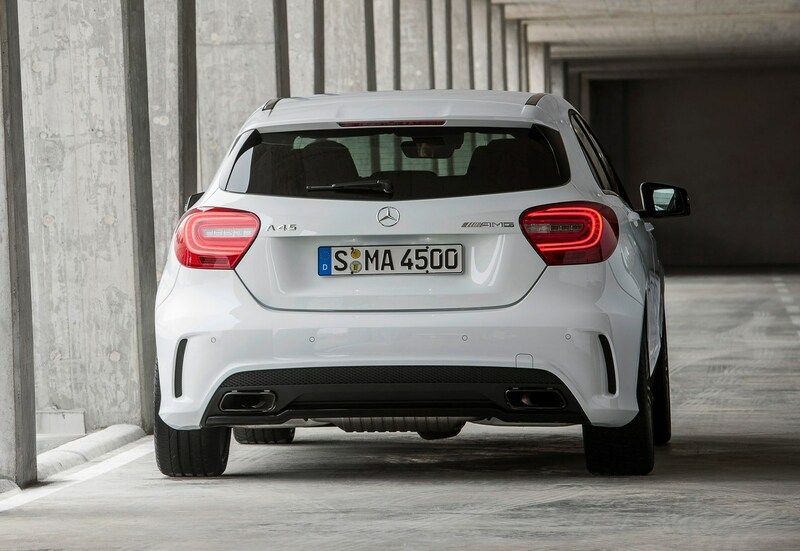 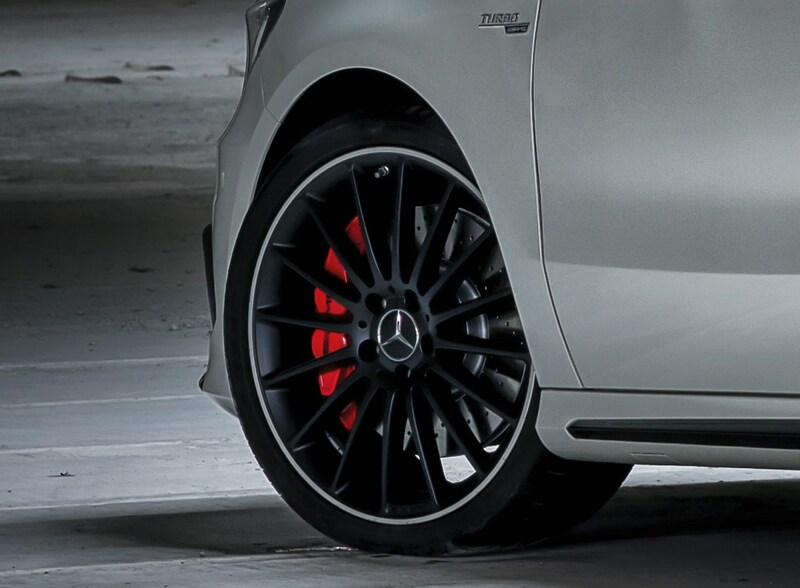 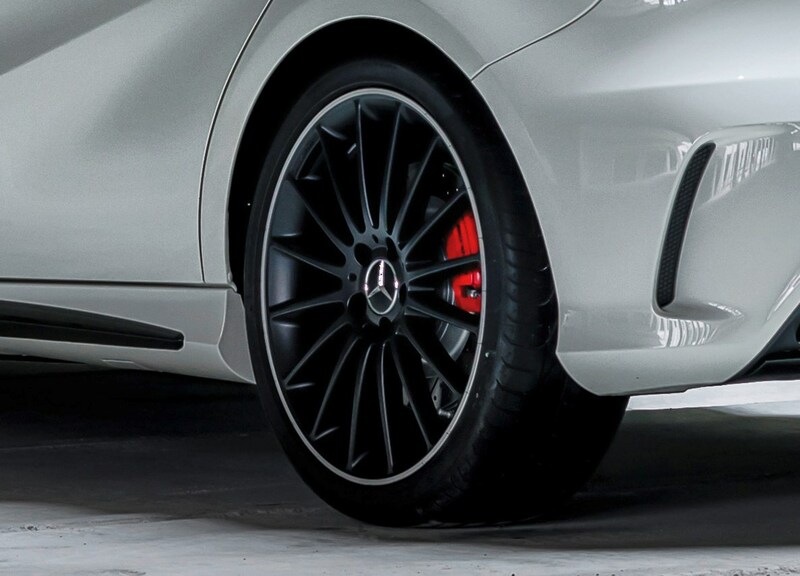 The A 45 AMG is a long way from being a complete car in the same way as a track-focused race car. 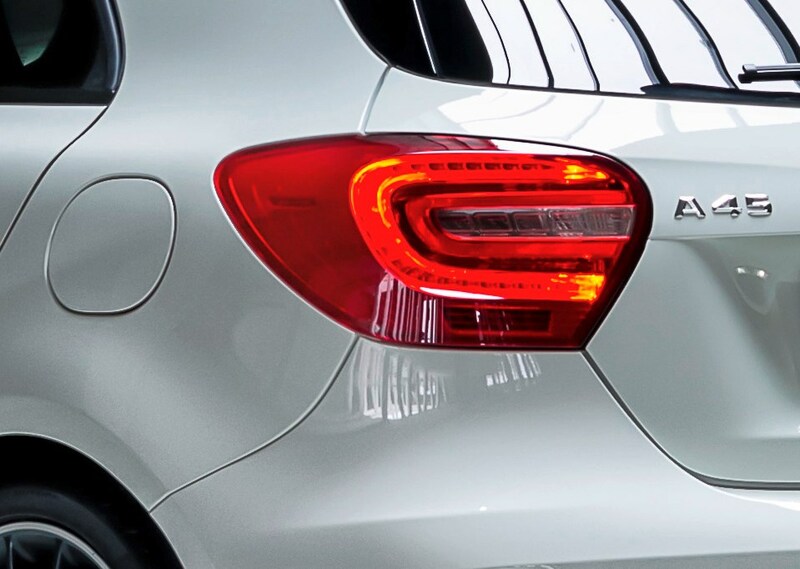 That’s not really what this car is about. 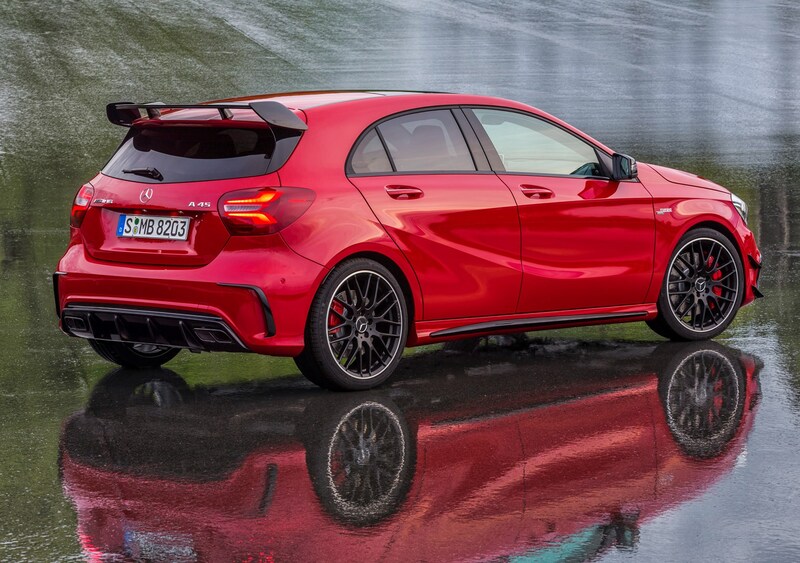 The performance is something quite extraordinary. 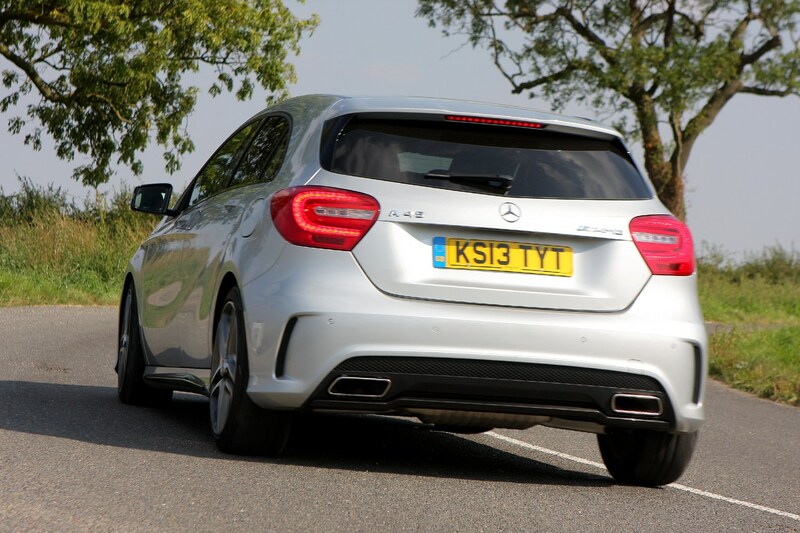 The lone petrol engine produces a monumental amount of power and it sticks remarkably when thrown in to the trickiest of bends. 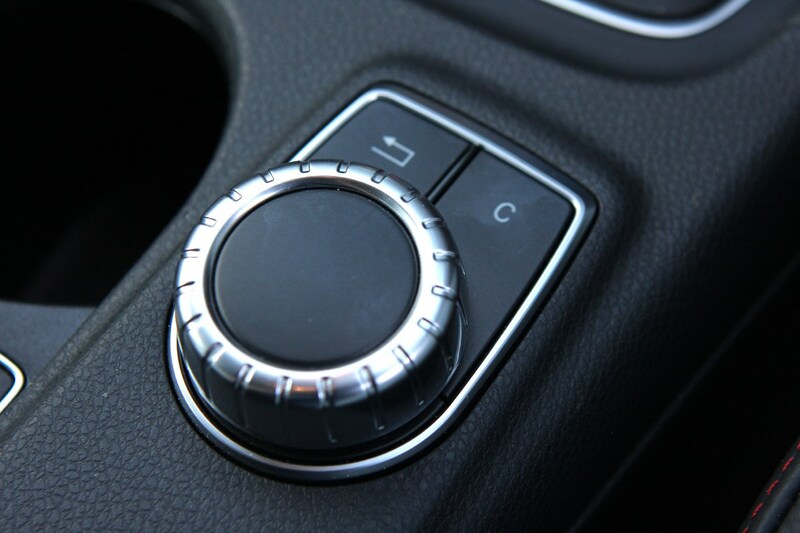 As a car for driving, you would be hard pushed to find anything to beat it. 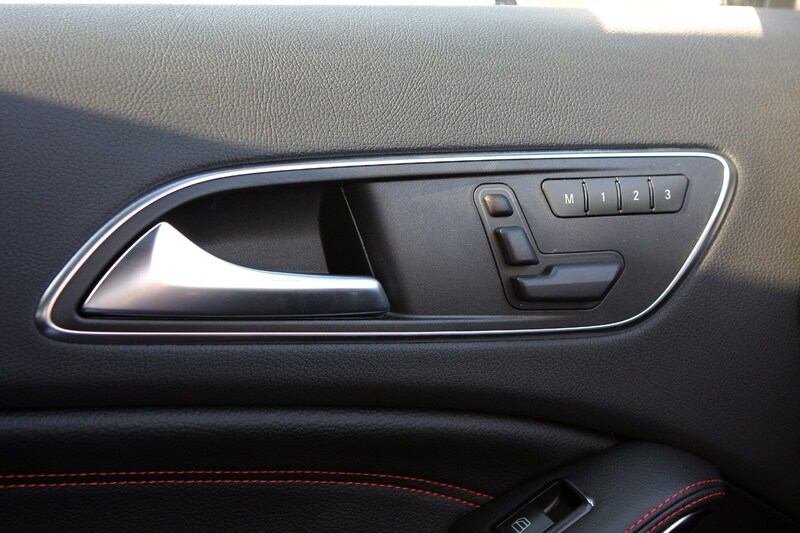 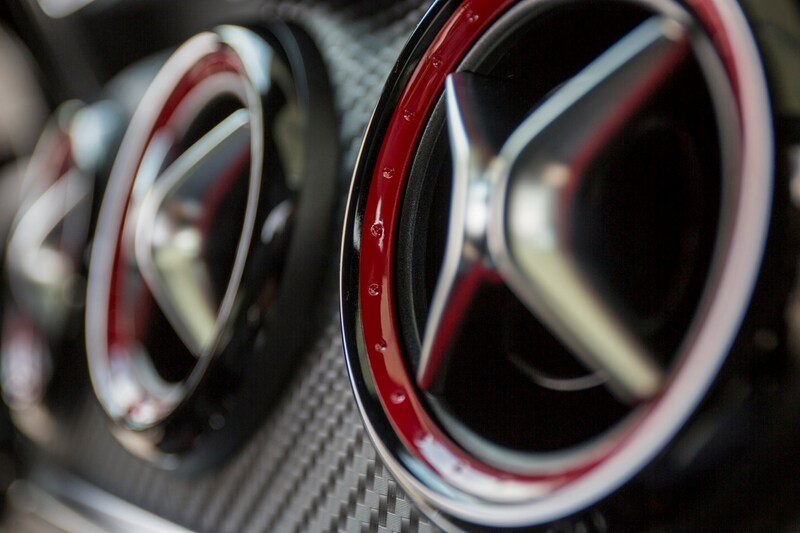 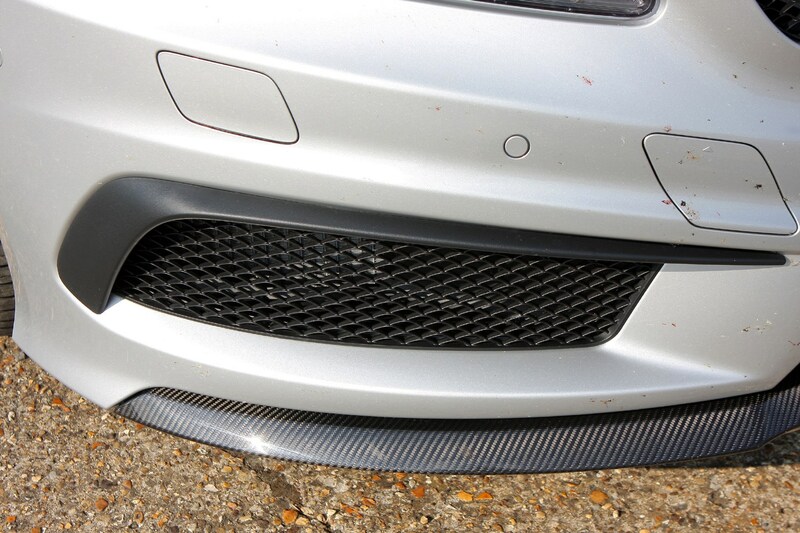 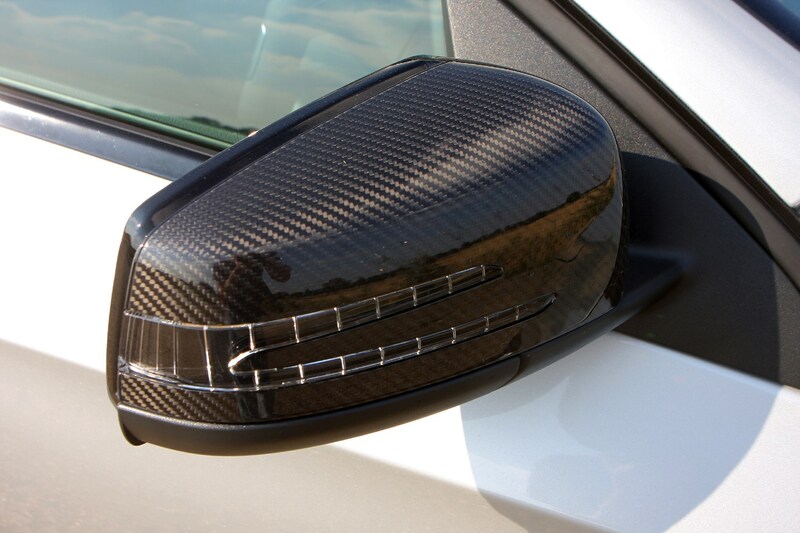 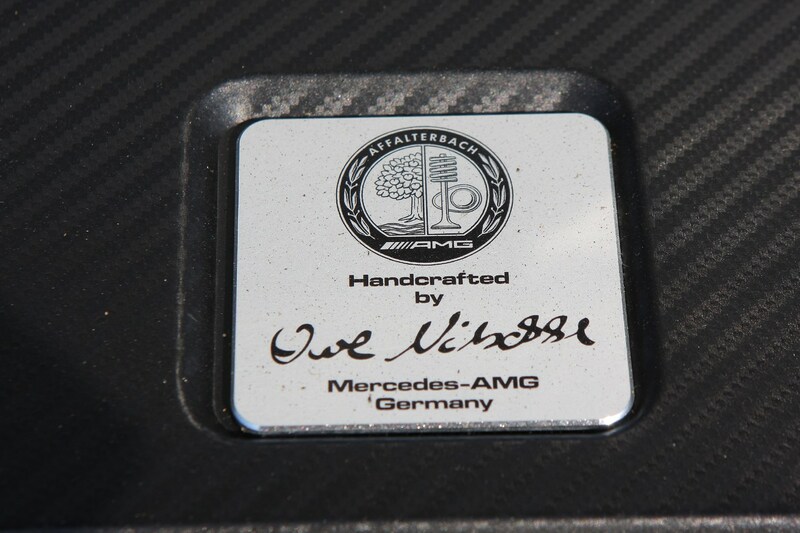 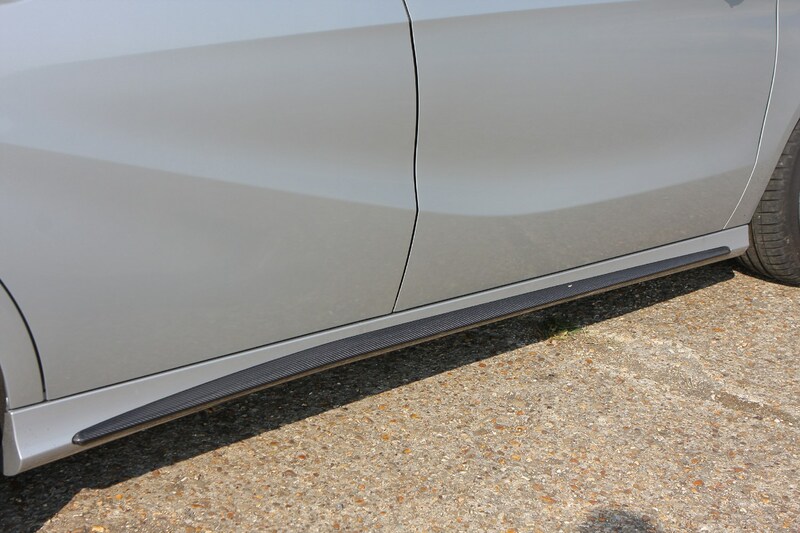 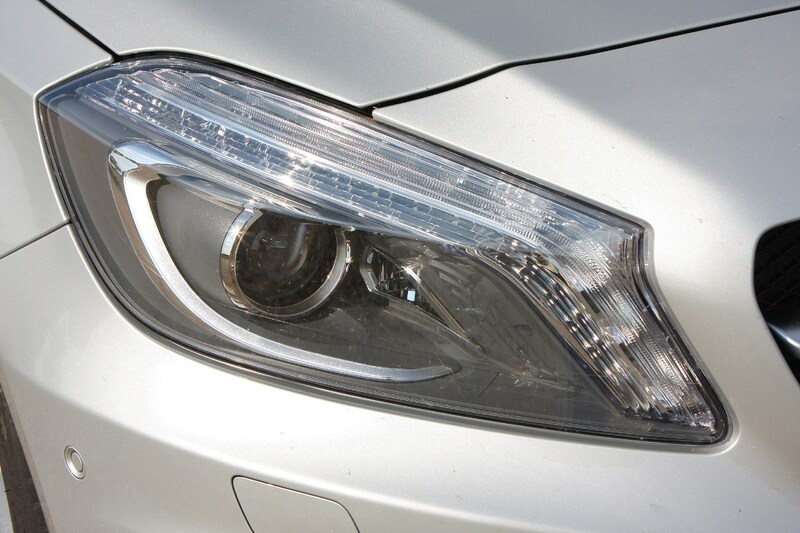 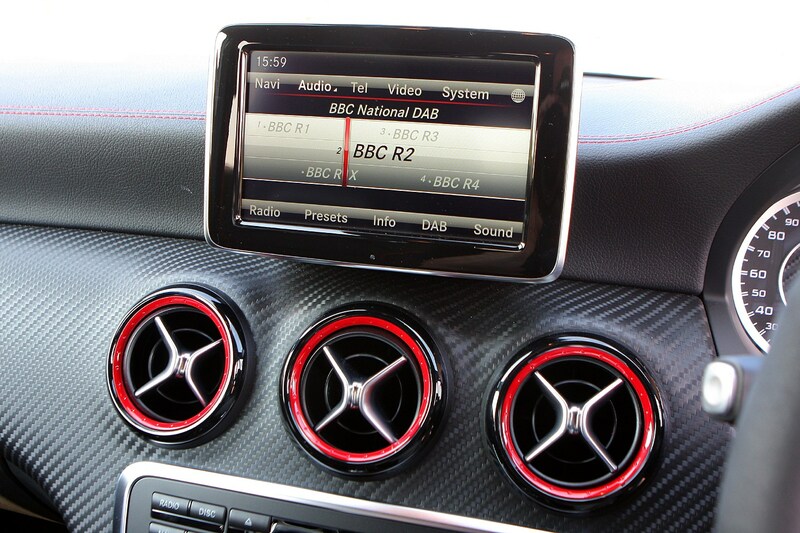 If, however you were looking for more from this car - which you shouldn’t – you will be disappointed. 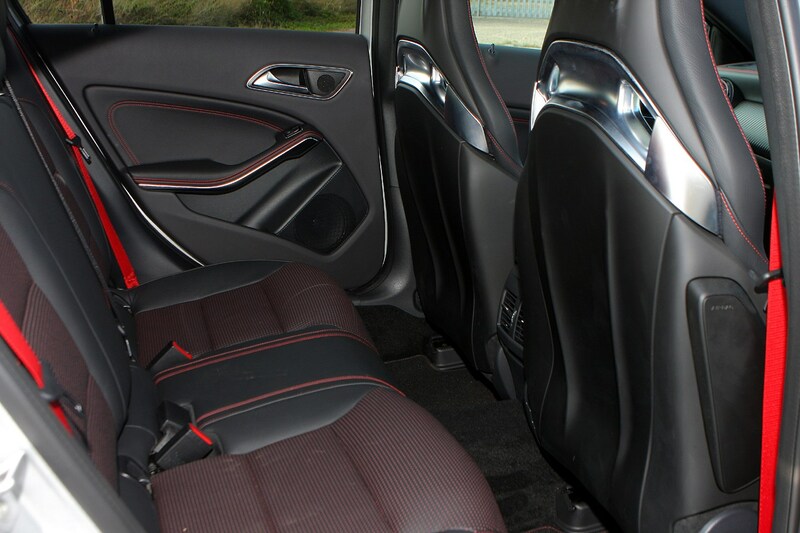 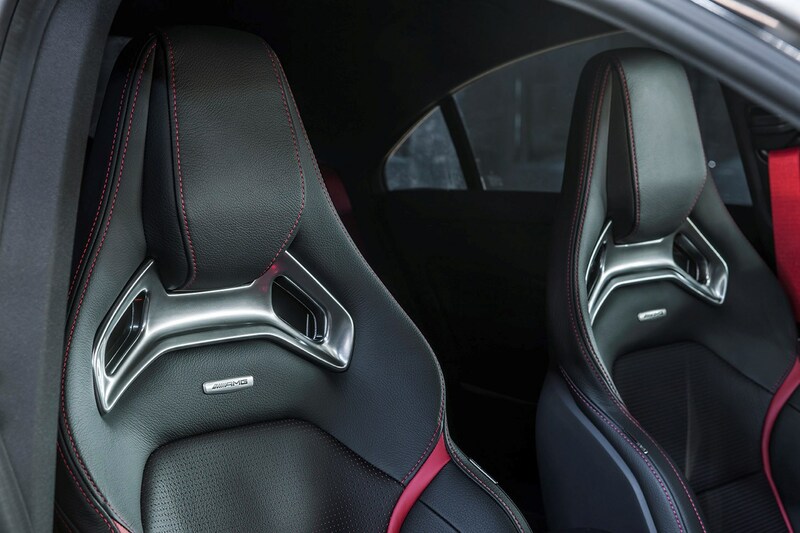 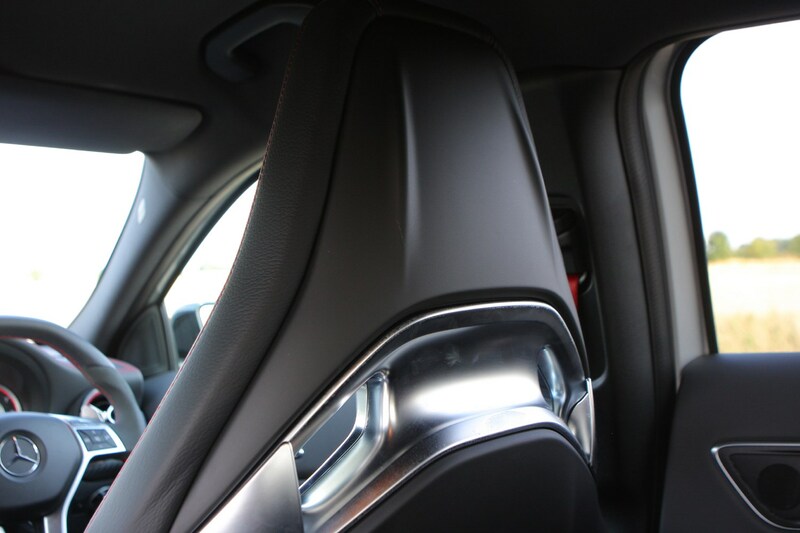 The sports seats provide plenty of support, but the ride is relentlessly solid and there is little comfort to be found inside. 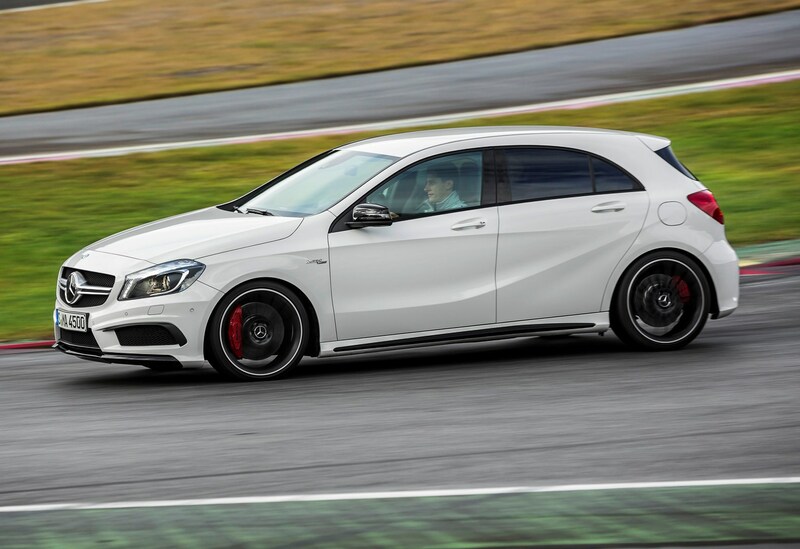 But as we say, the only thing that should cross your mind as you drive one is just how good it is.